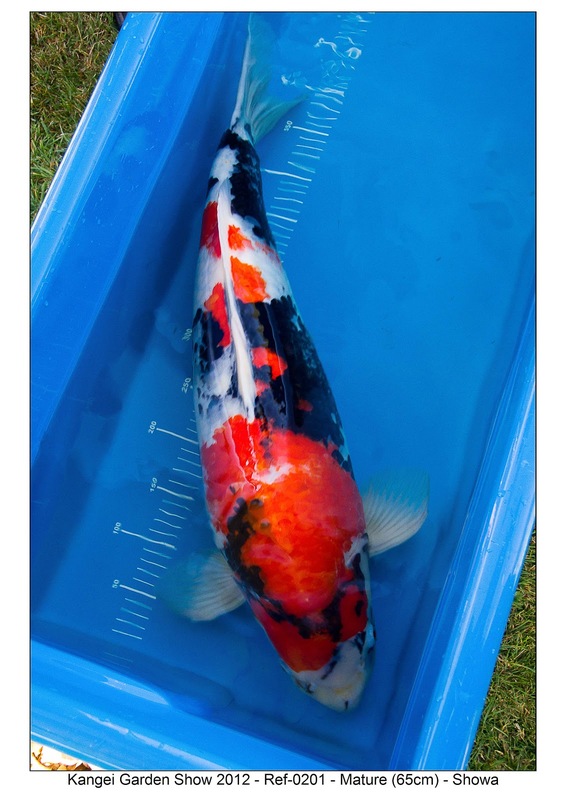 We’ve recently benched our first Garden Show, and Gary Pritchard has kindly judged it for us. 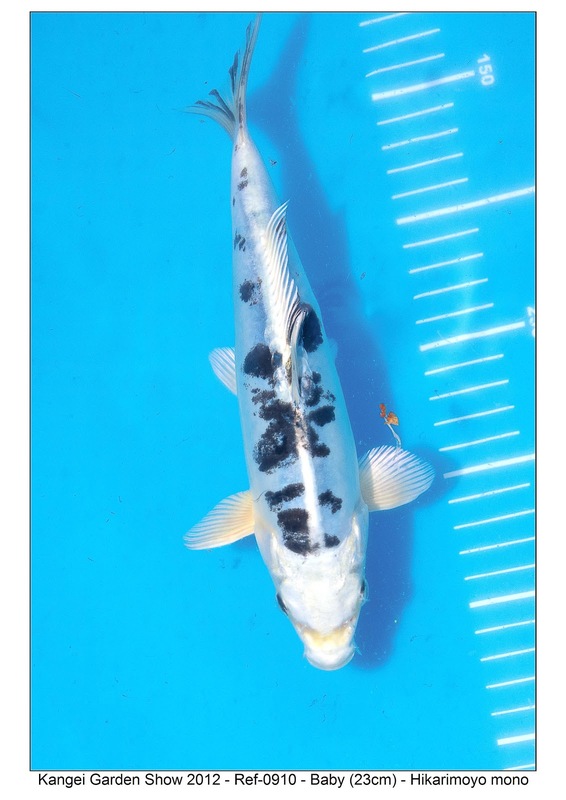 The thing is… no one knows the results, except for Gary (who judged it), and me so I can get the certificates printed. 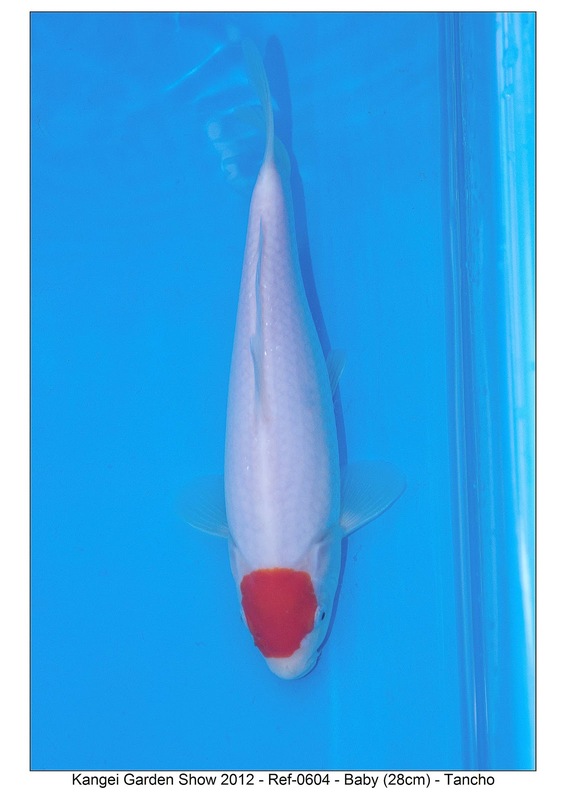 It’s a tough period for everyone, waiting for the results! 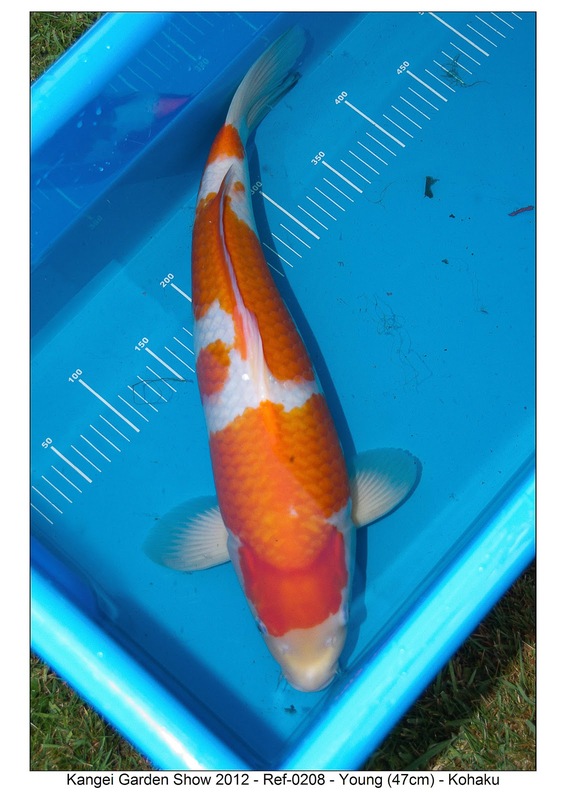 So, we’ve made best use of it to give our members a bit of fun by running a judge-it-for-yourself quiz. 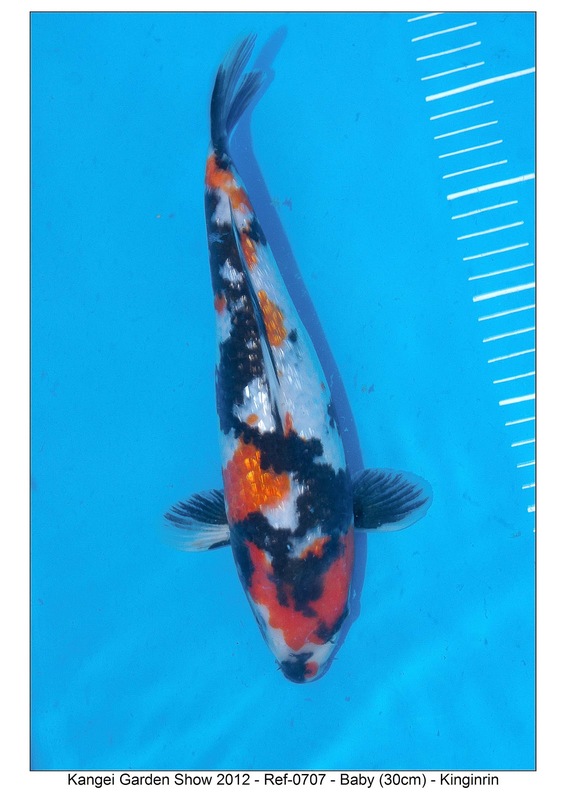 Members had a go at being the judge and predicted which koi will win the top 18 awards, and they’ve entered their predictions into the “judge-it-for-yourself” quiz. 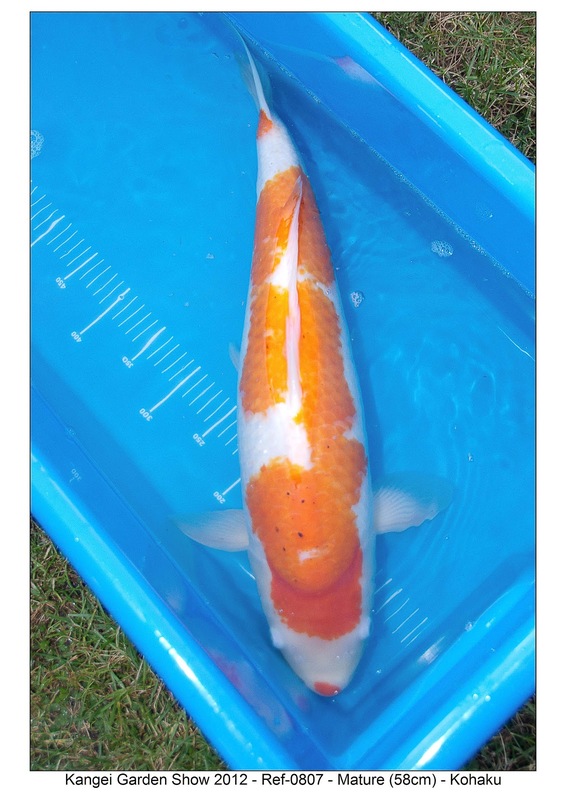 The winner of the quiz is the person who gets the most answers the same as Gary Pritchard. 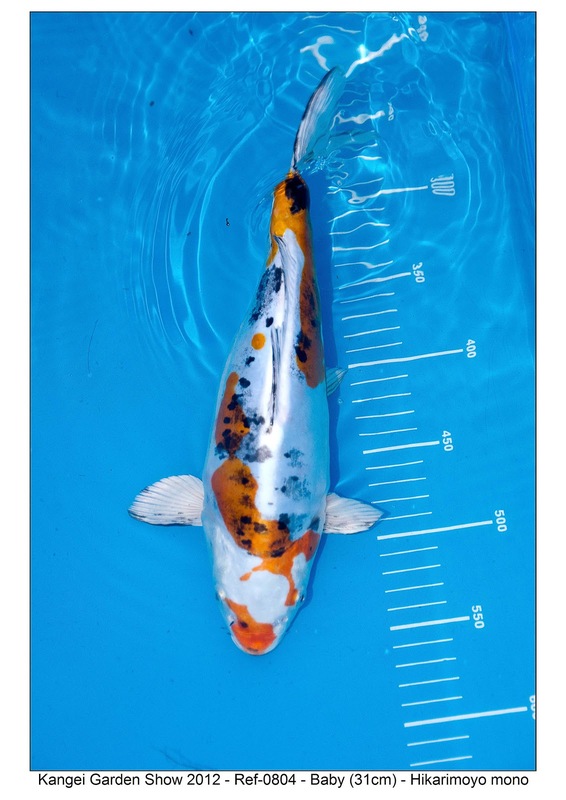 The deadline has passed for members to make their quiz entries, and with a few weeks left before the Garden Show results are presented at our December meeting, it gives us a chance to provide a bit of fun for other koi enthusiasts. 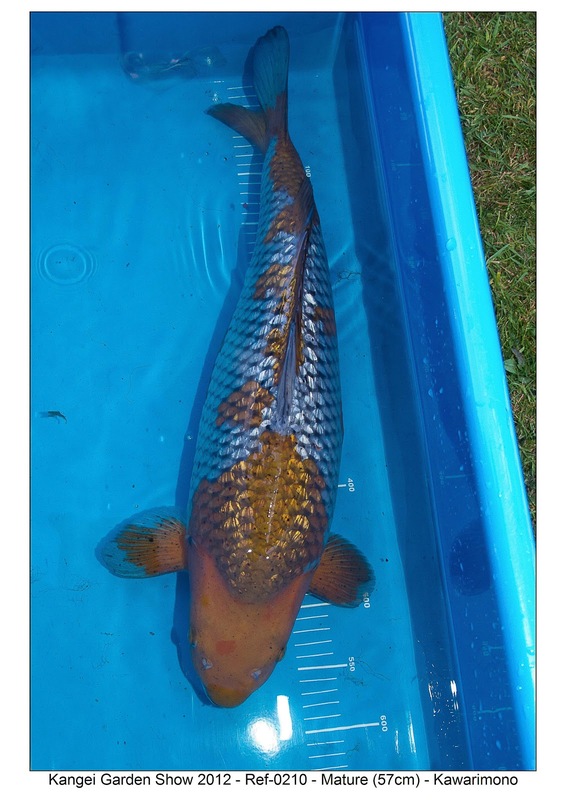 So, why not have a go at the quiz yourself ? 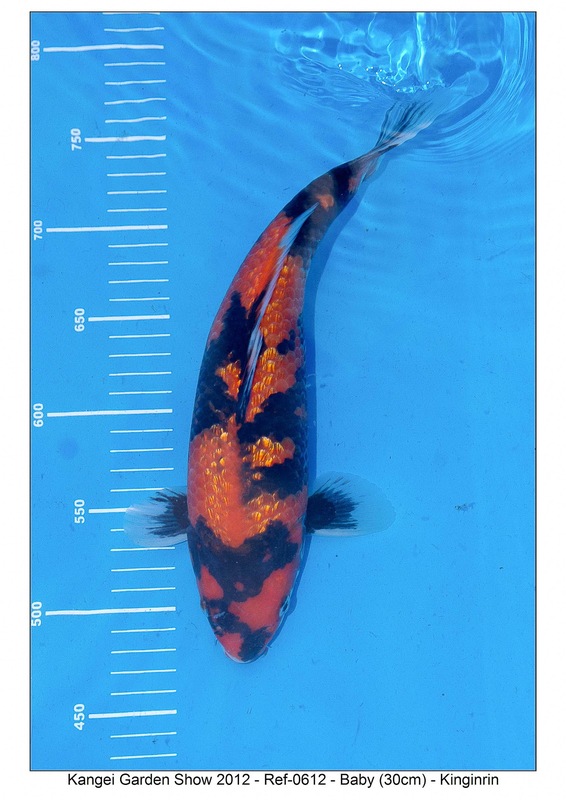 We’ll publish the results of the Garden Show on our website in December so you can check your own answers and see how close you got to the judge’s results. 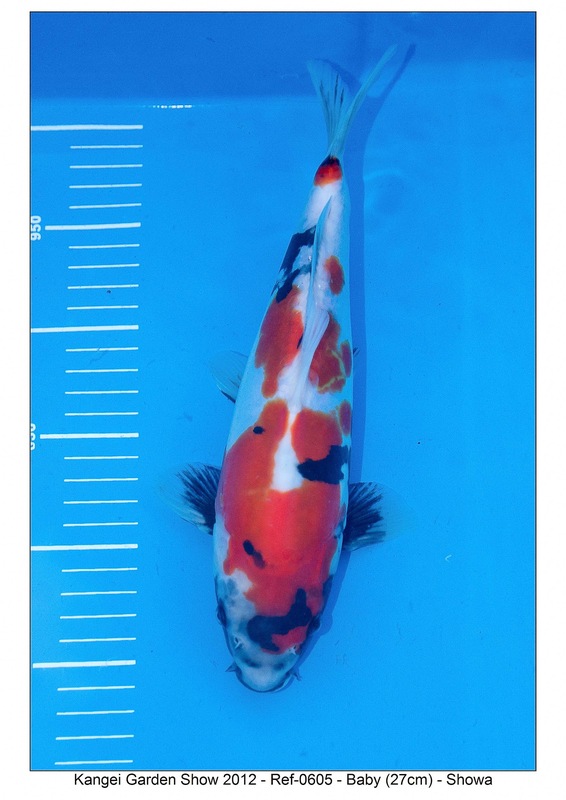 We would love to know which koi you think will win Grand Champion, Mature Champion, Young Champion and Baby Champion, so why not tell us about it by leaving a comment on this post. 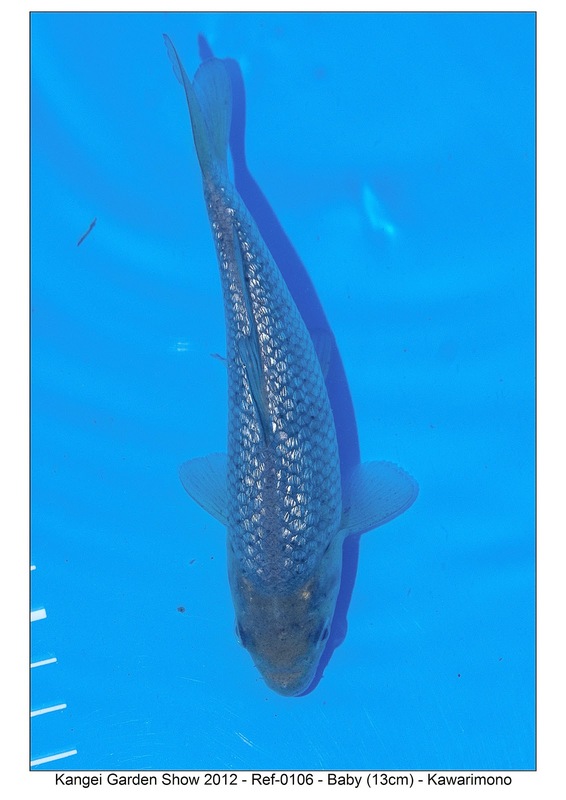 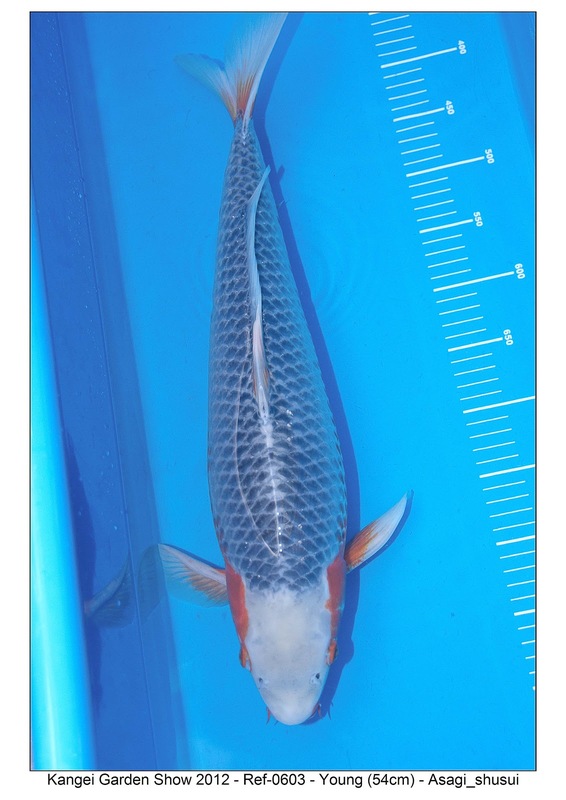 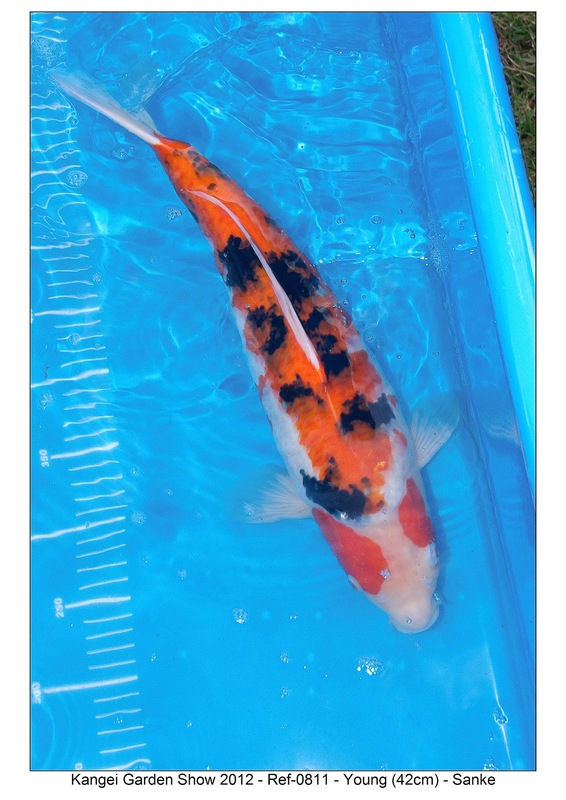 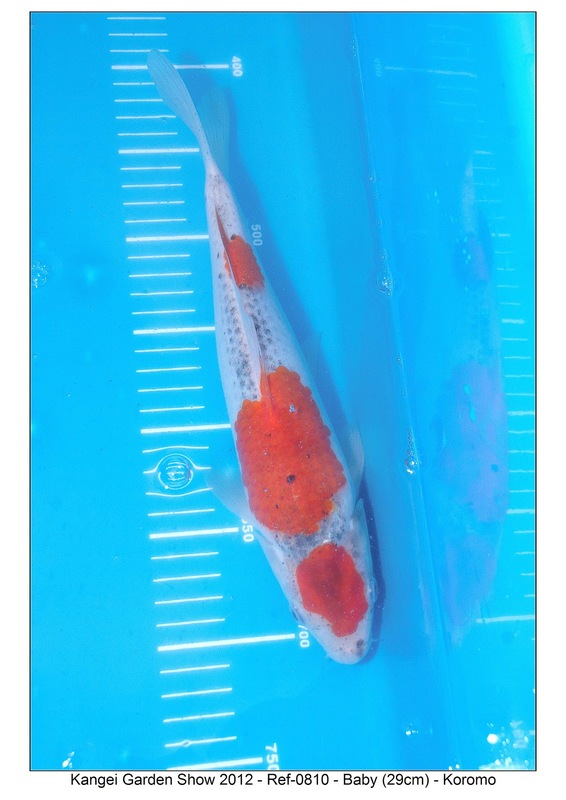 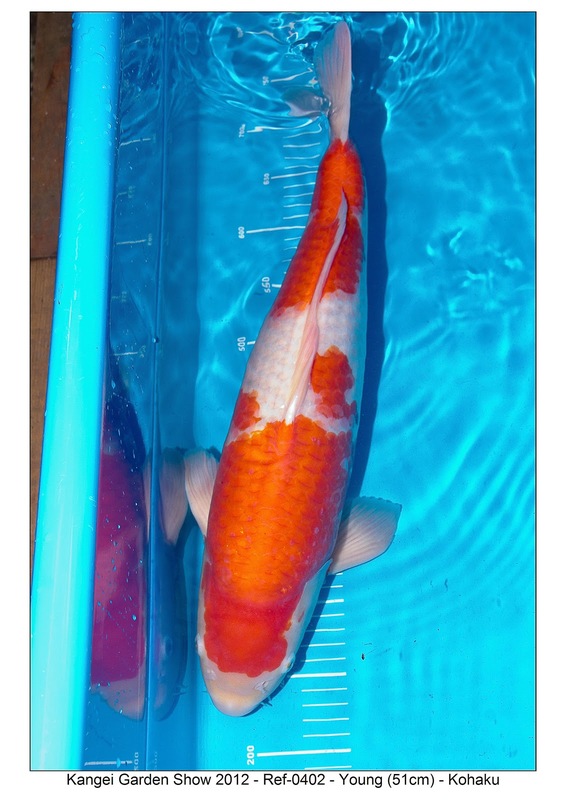 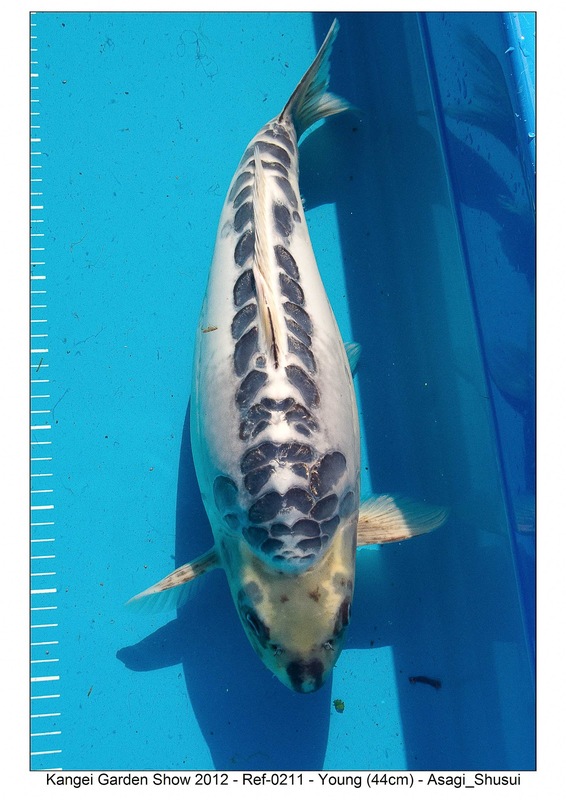 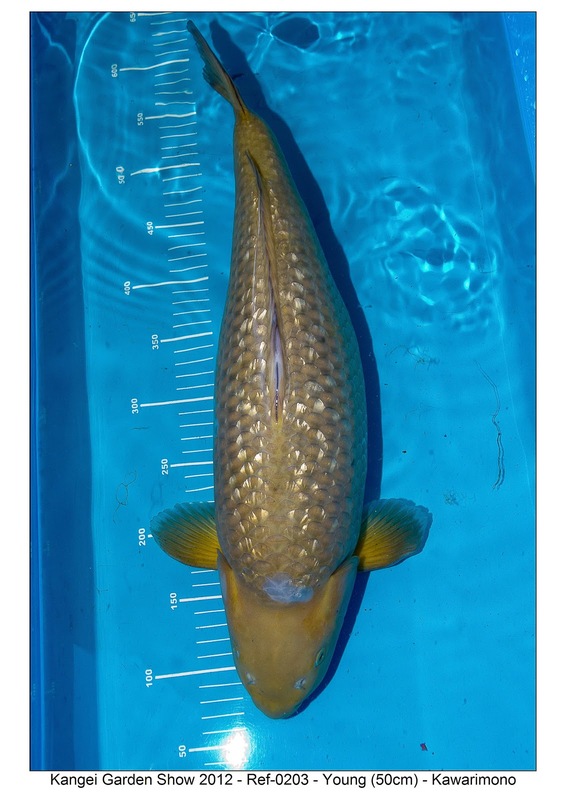 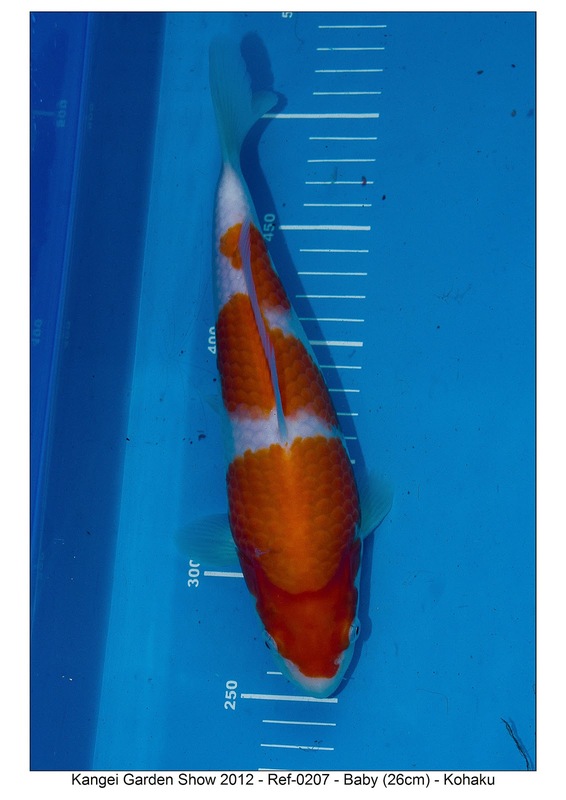 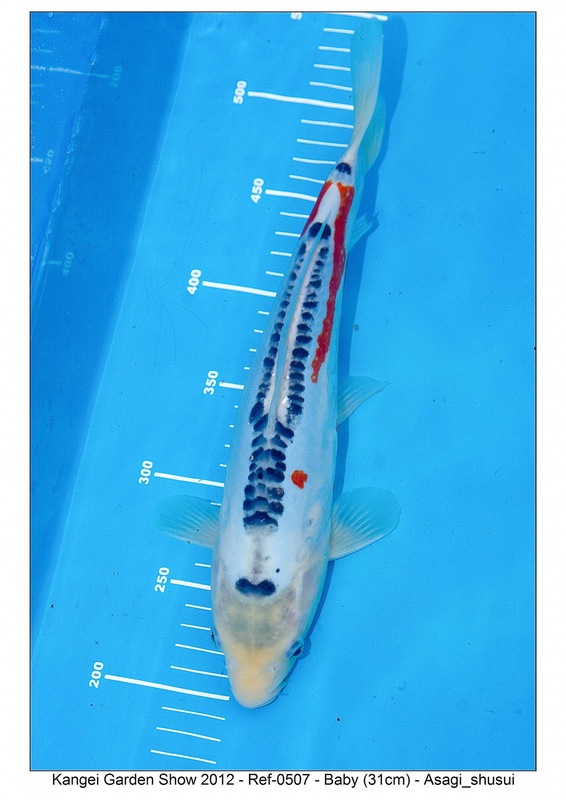 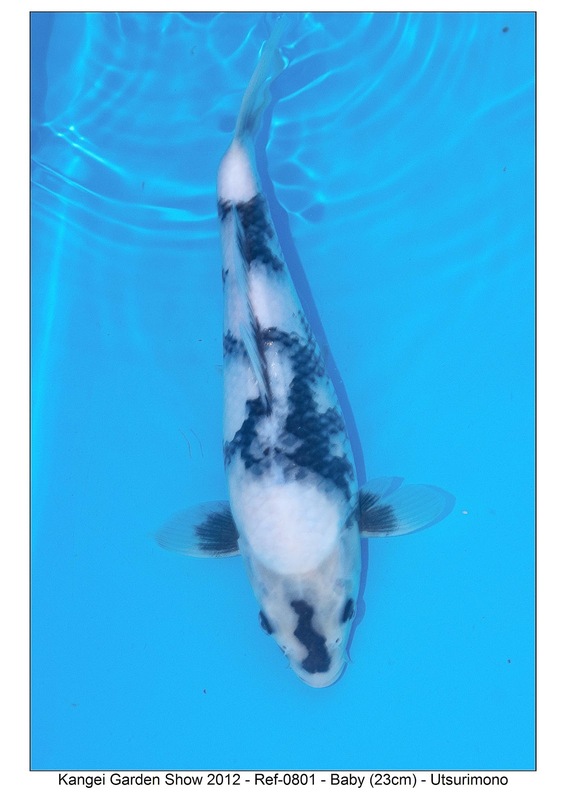 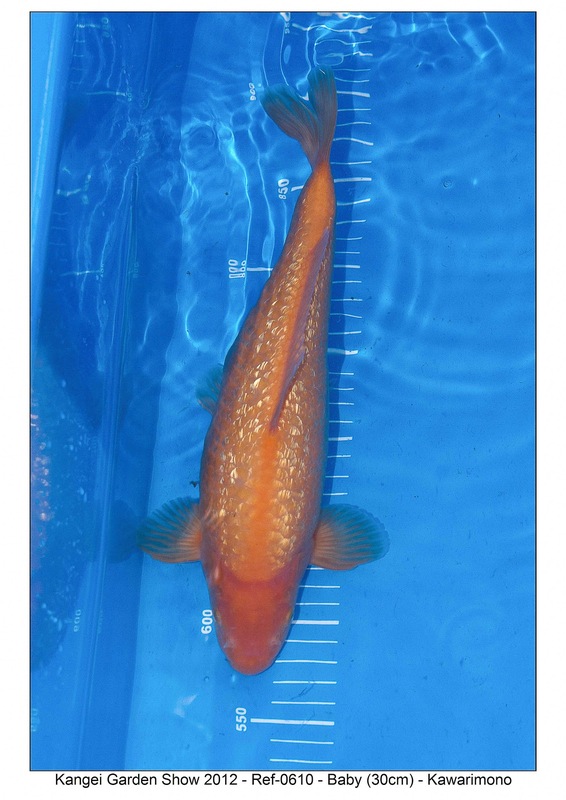 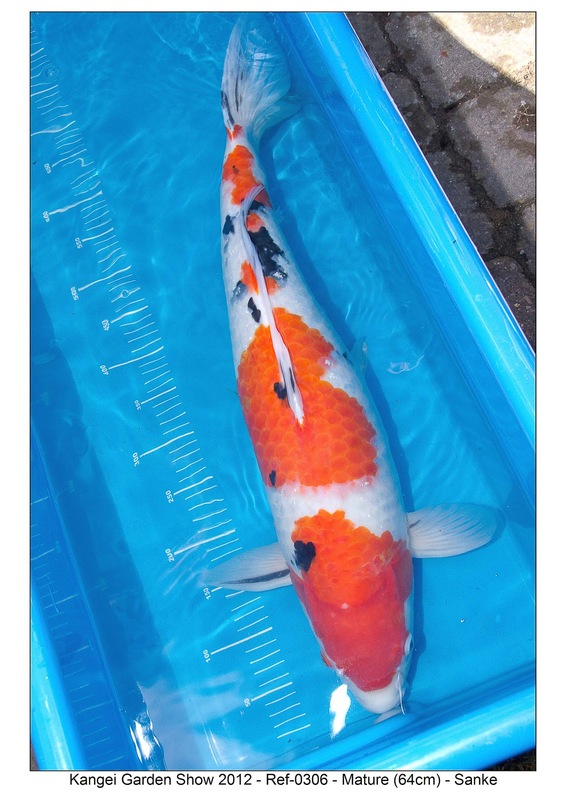 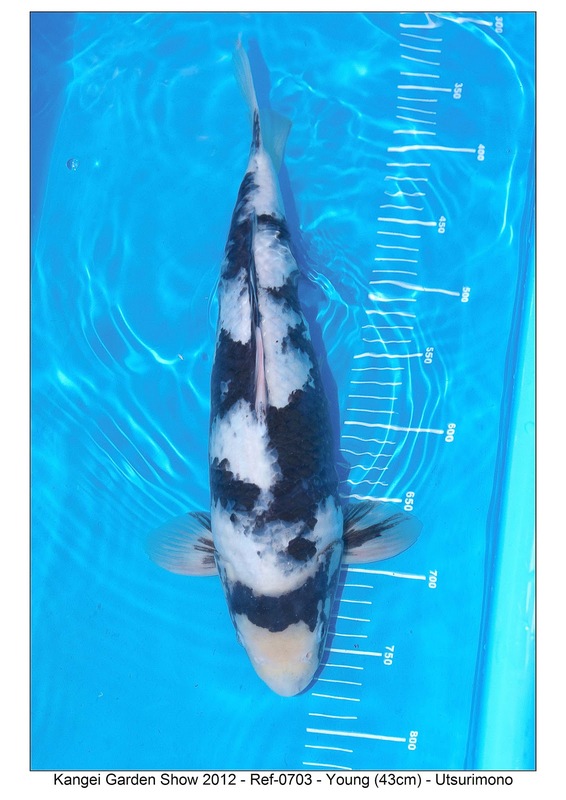 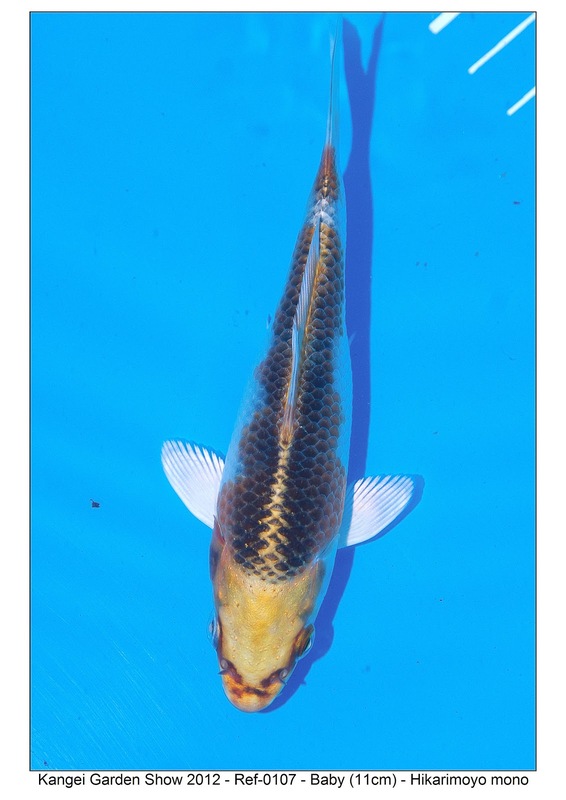 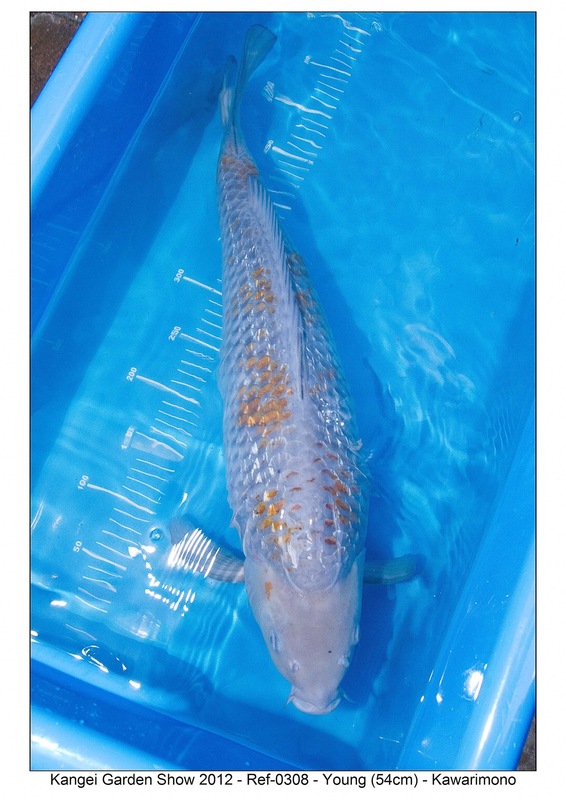 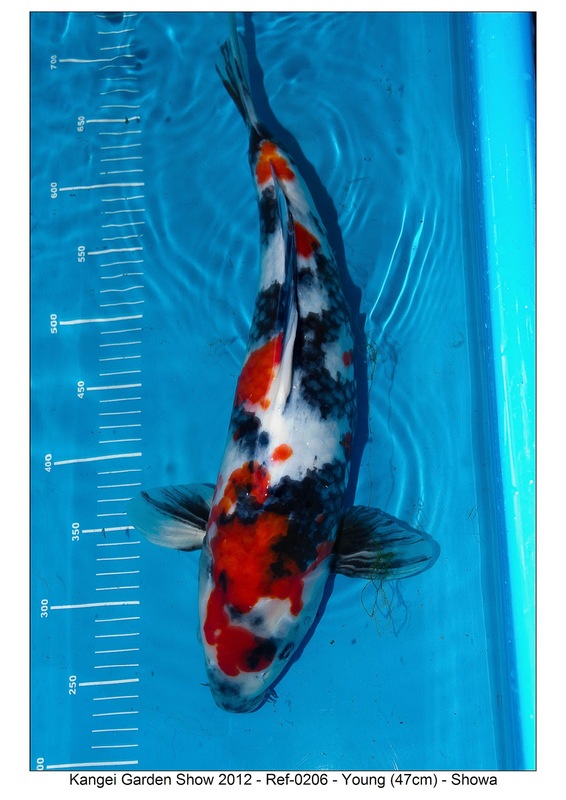 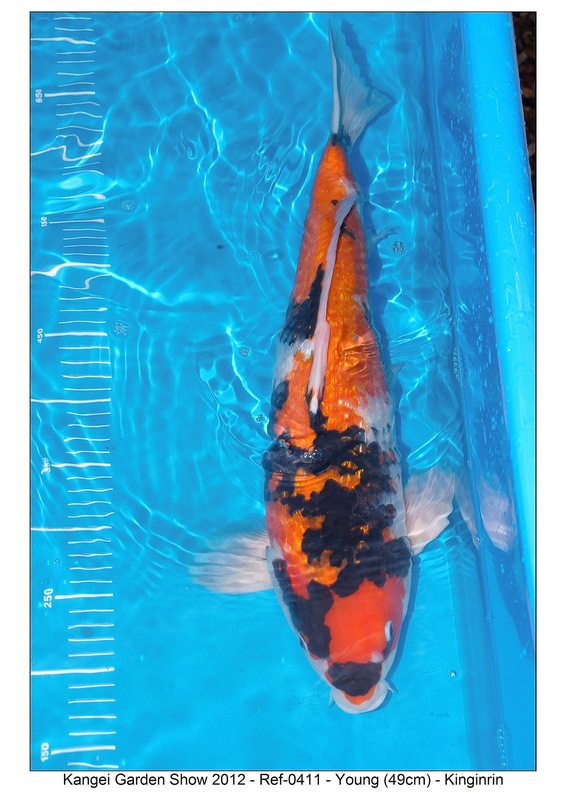 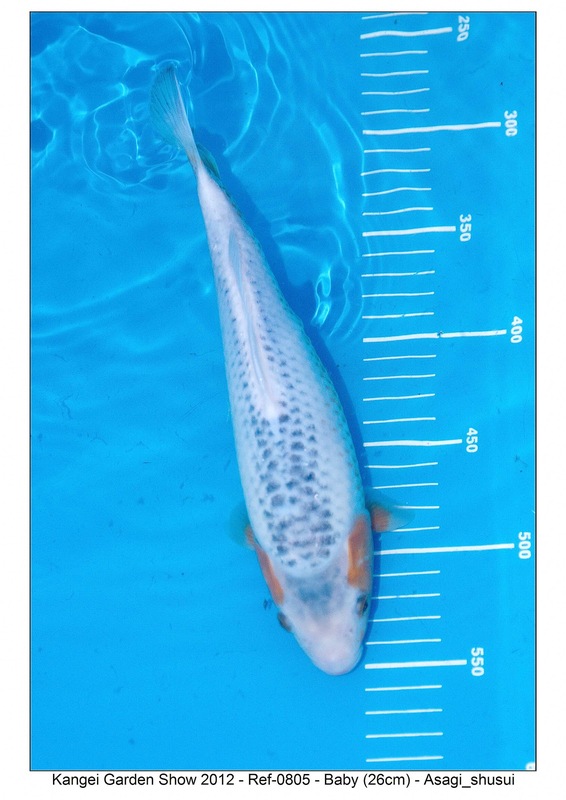 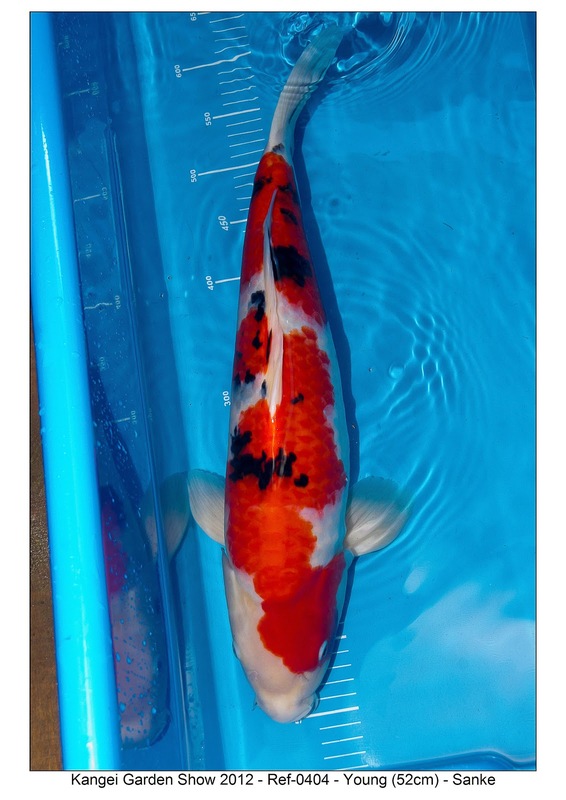 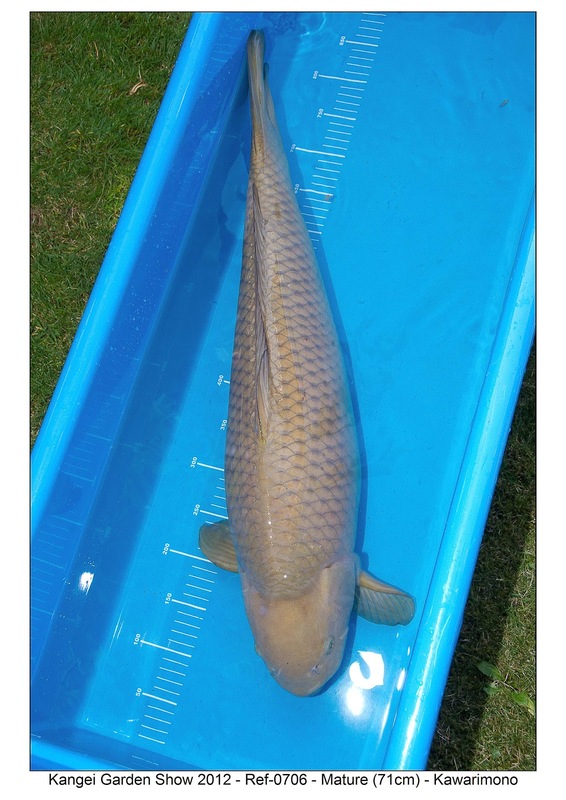 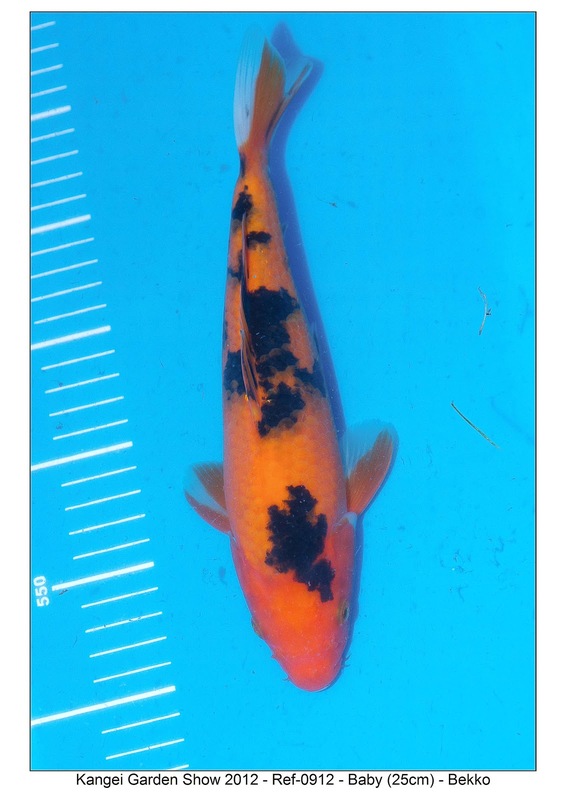 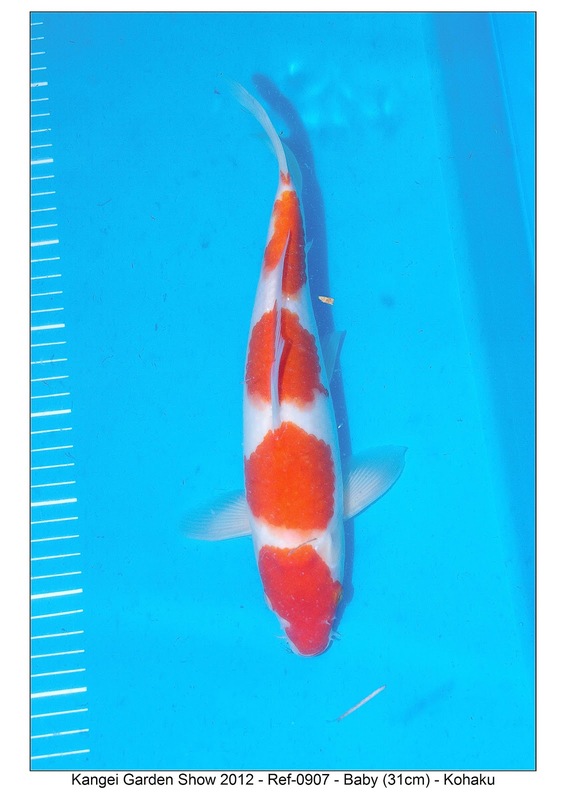 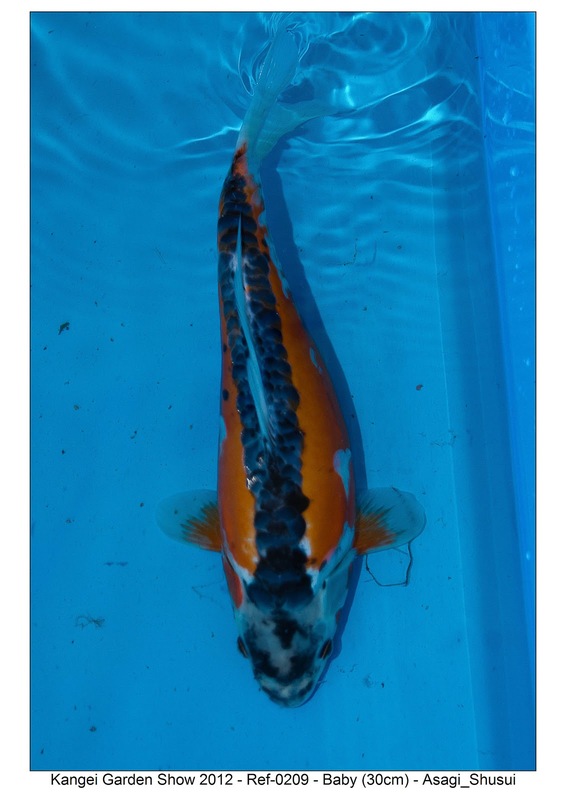 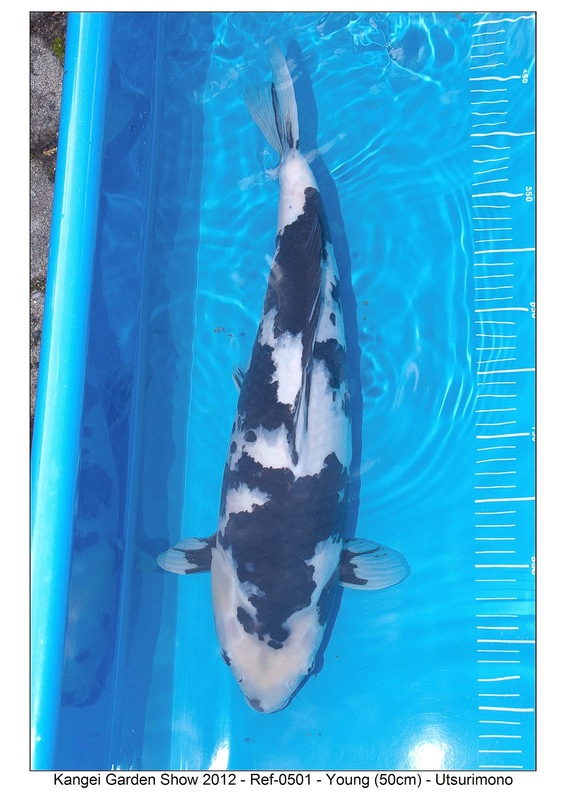 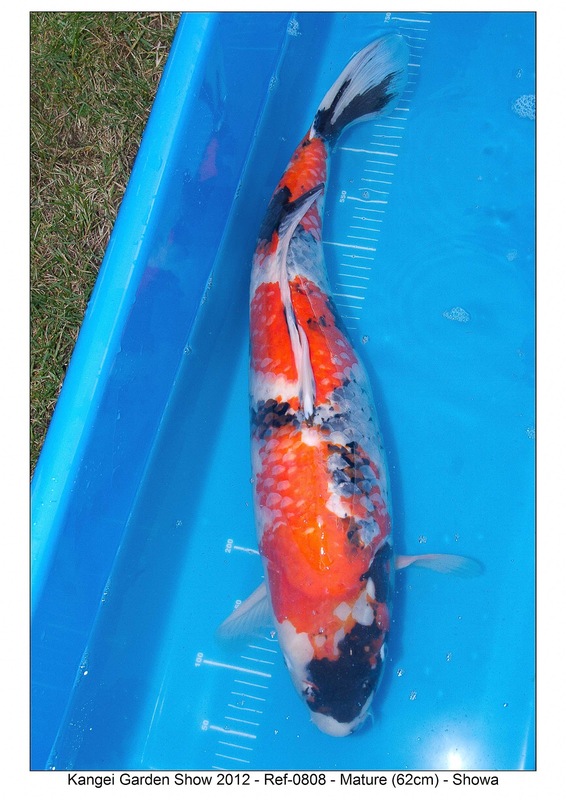 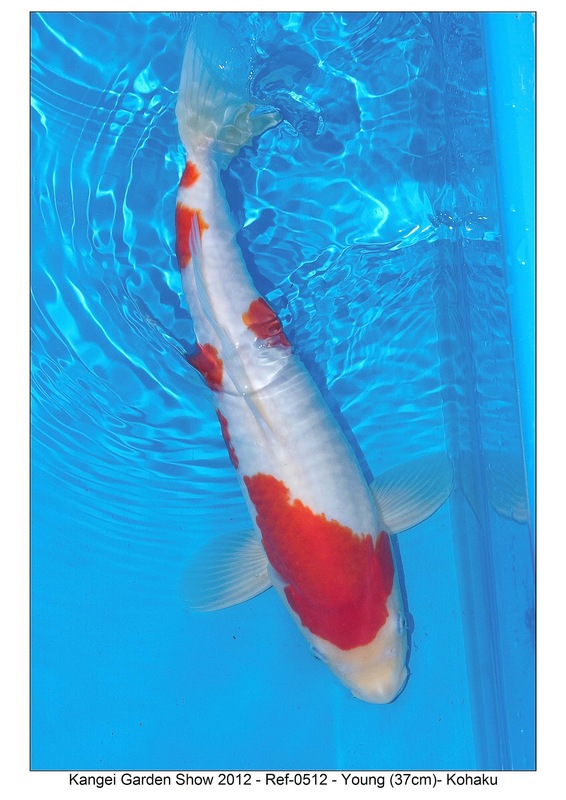 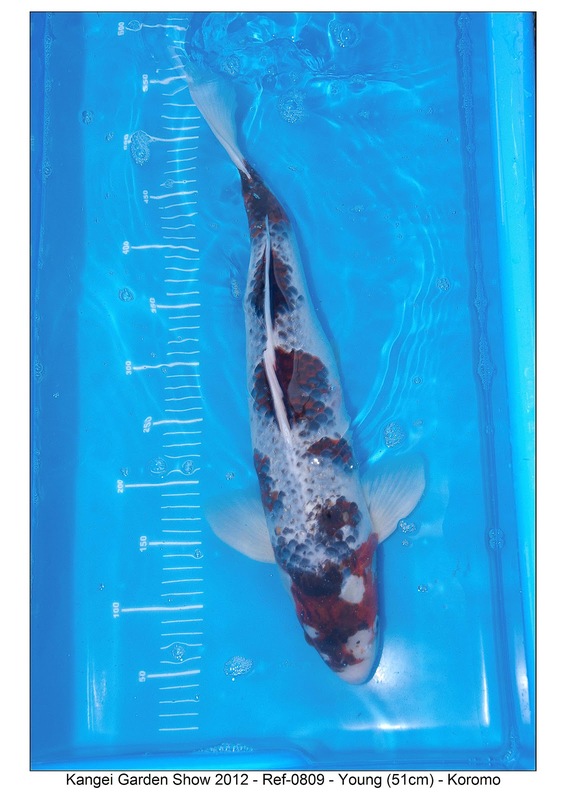 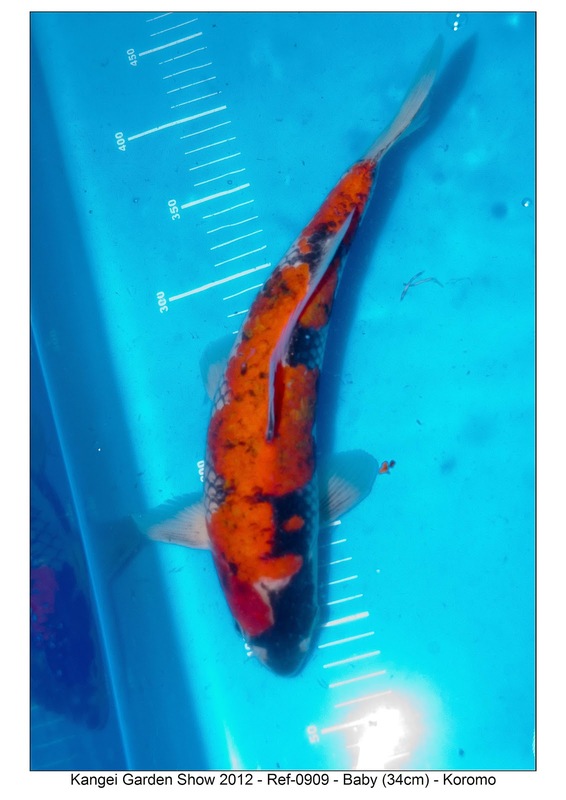 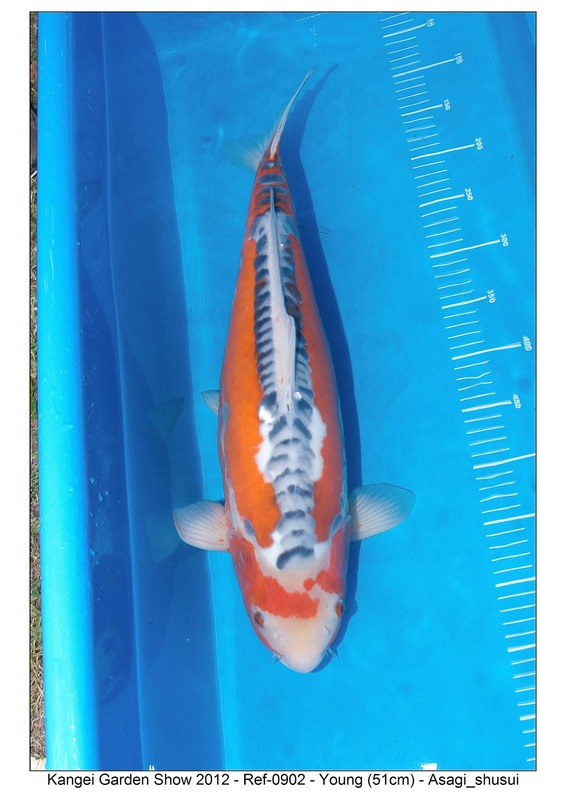 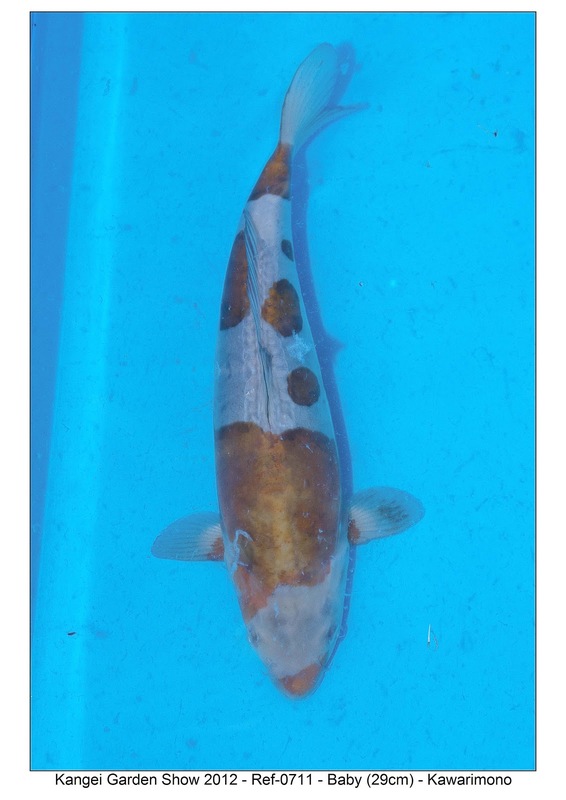 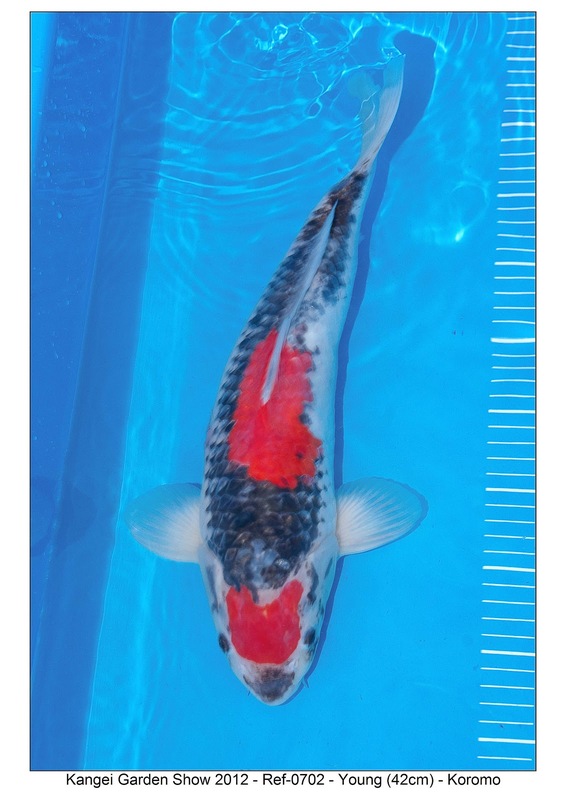 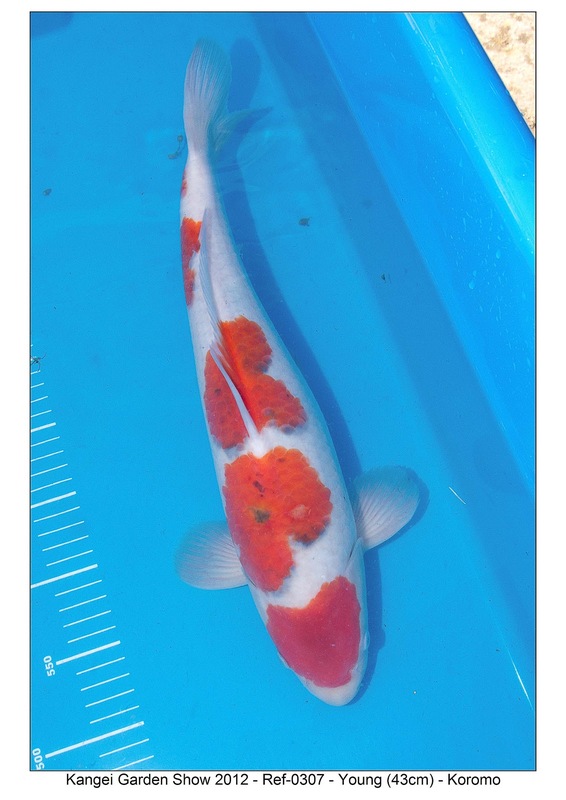 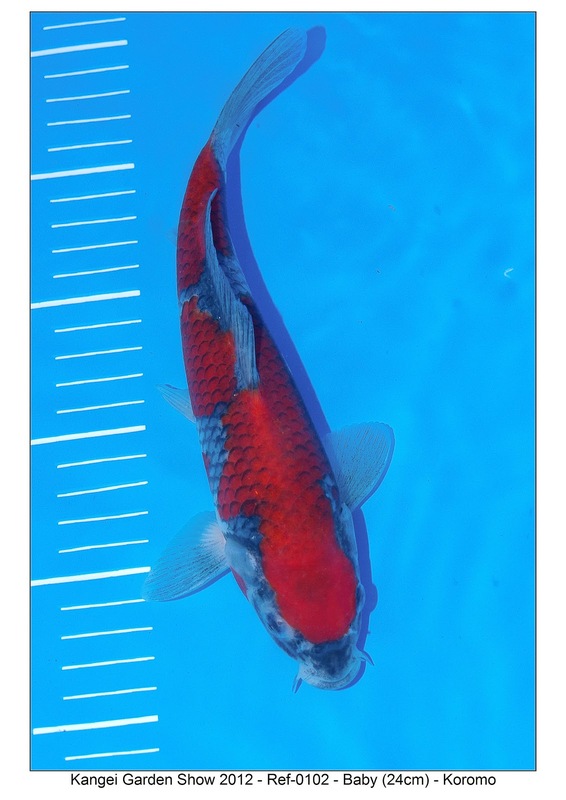 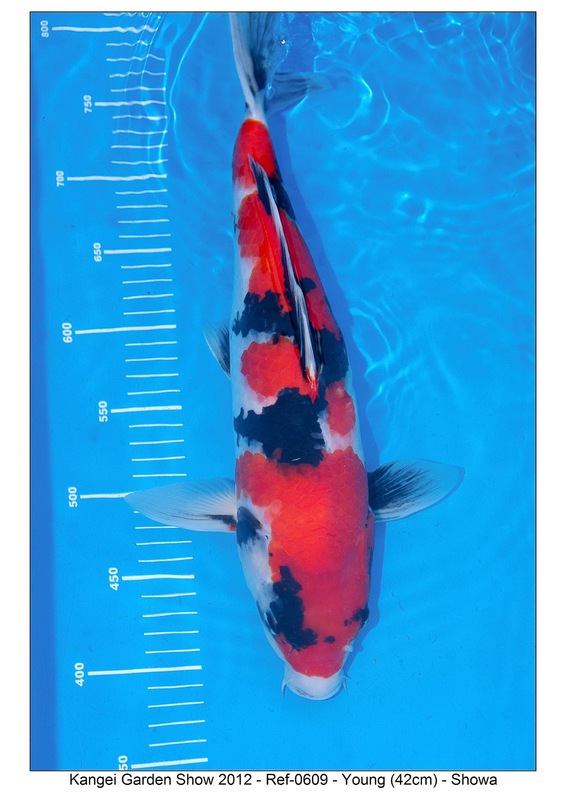 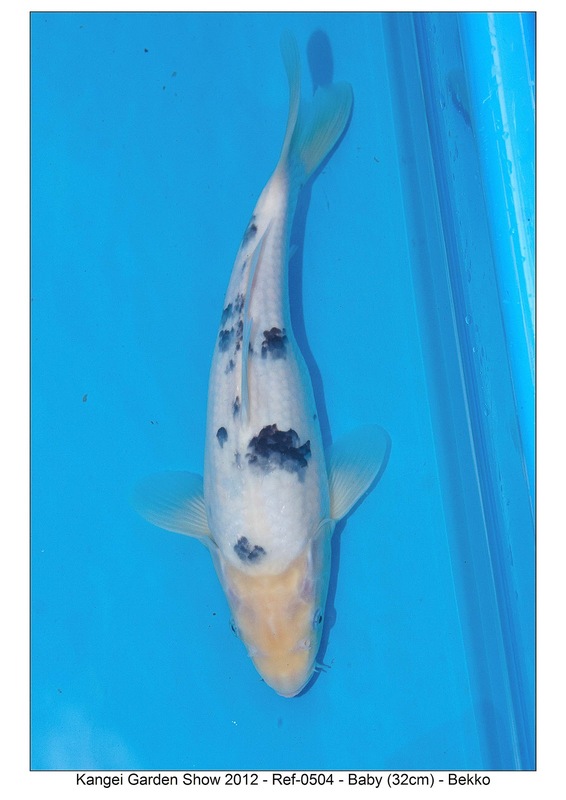 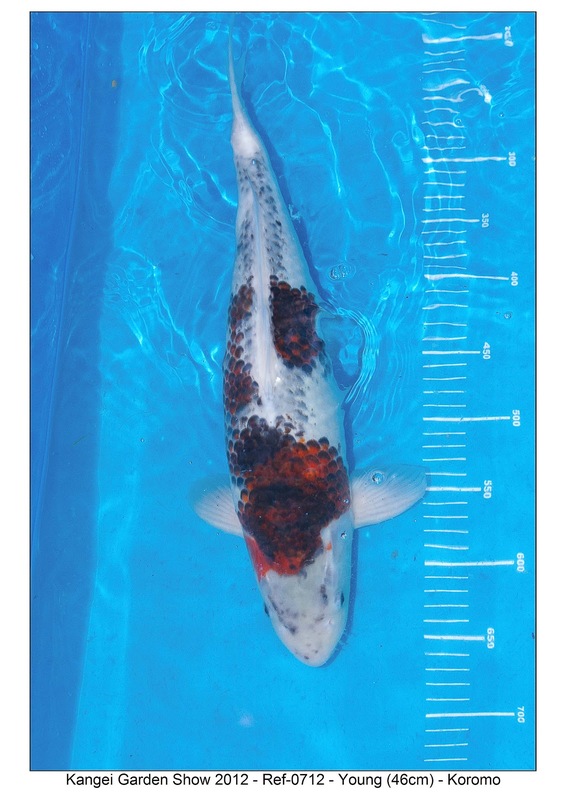 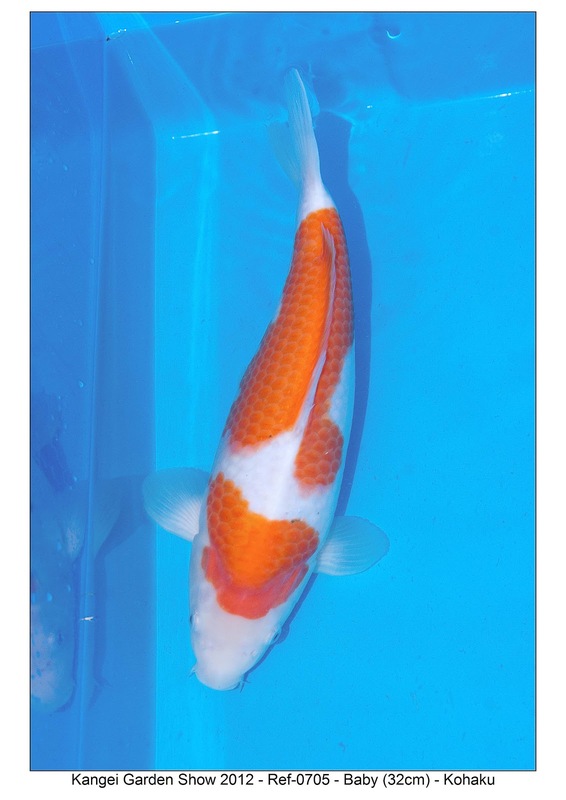 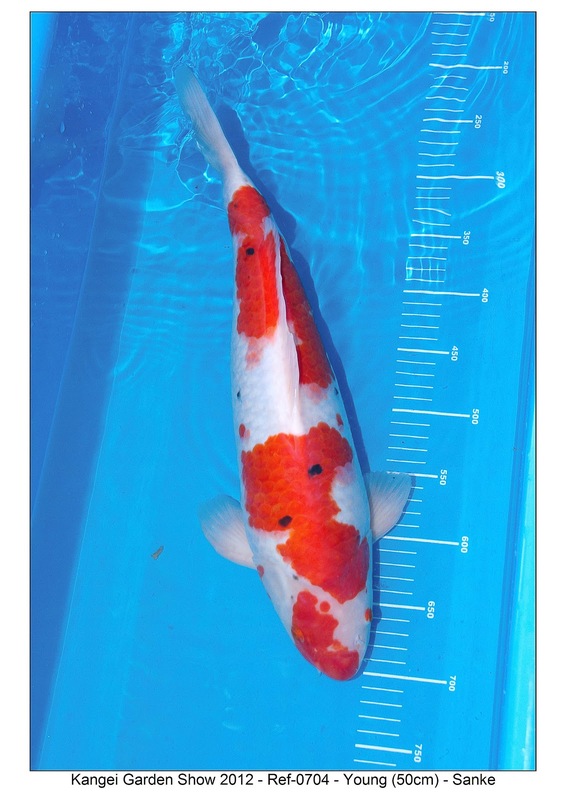 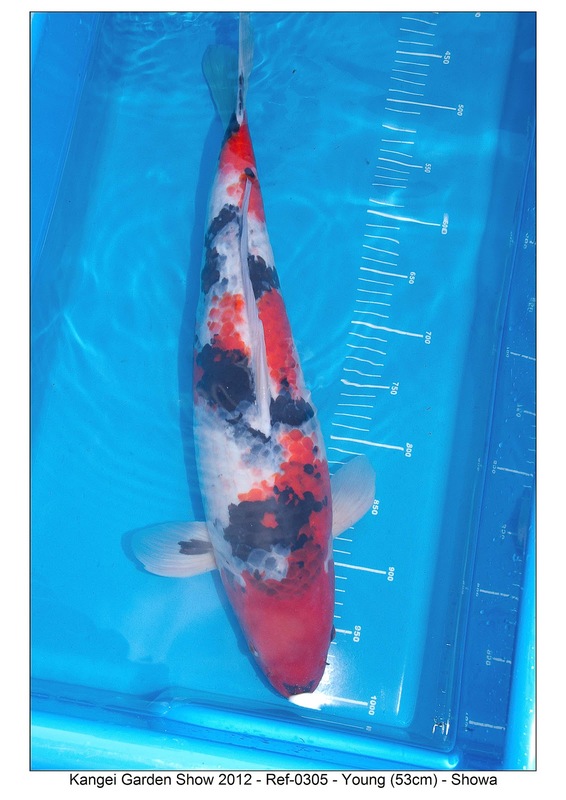 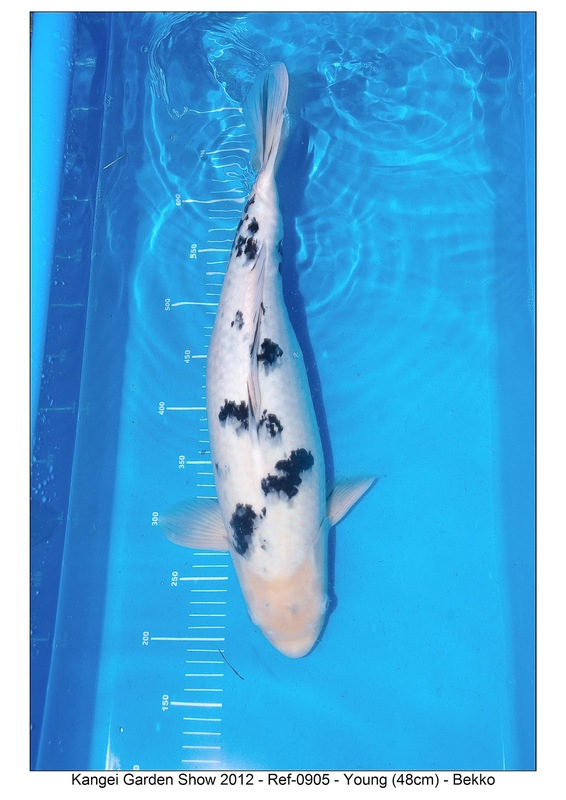 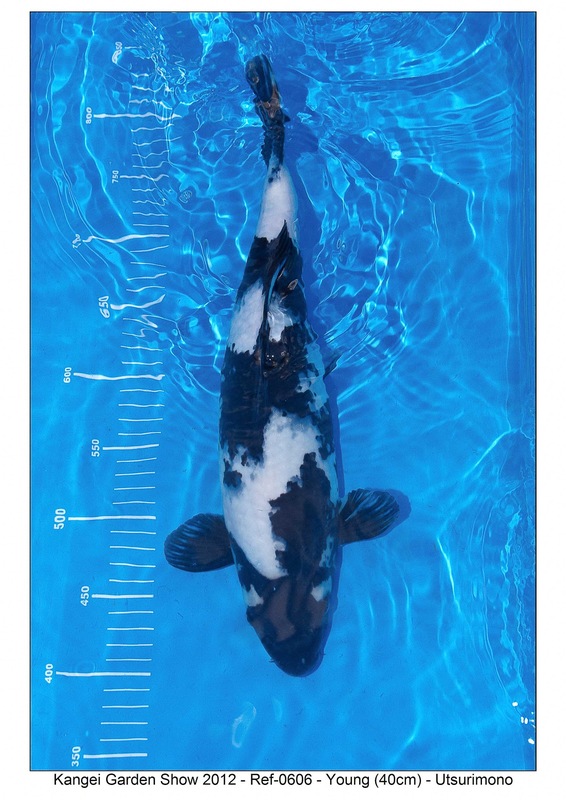 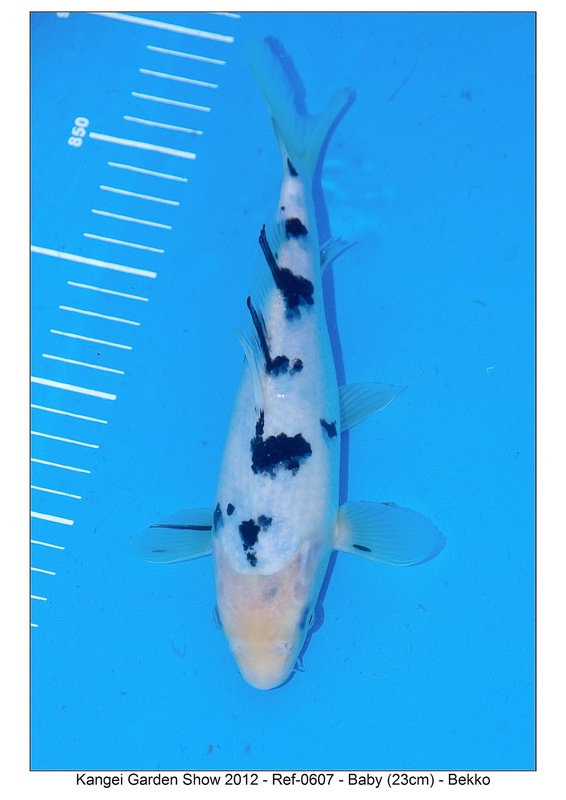 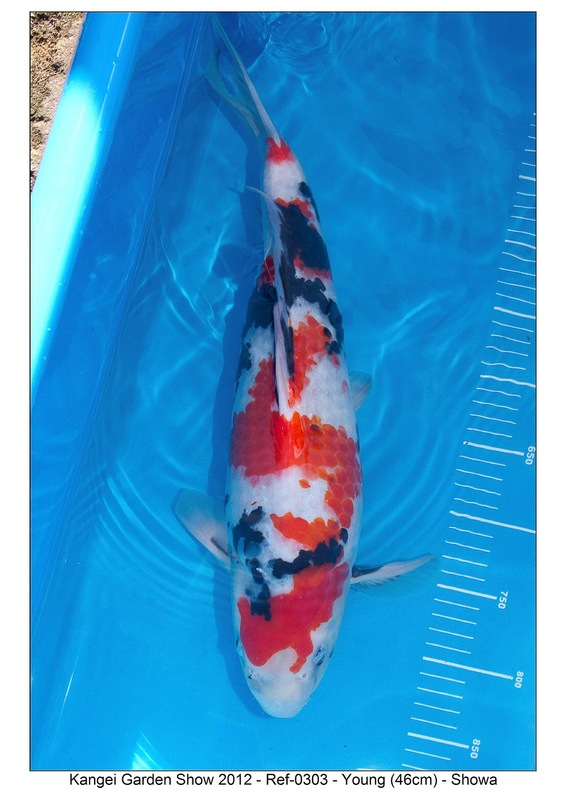 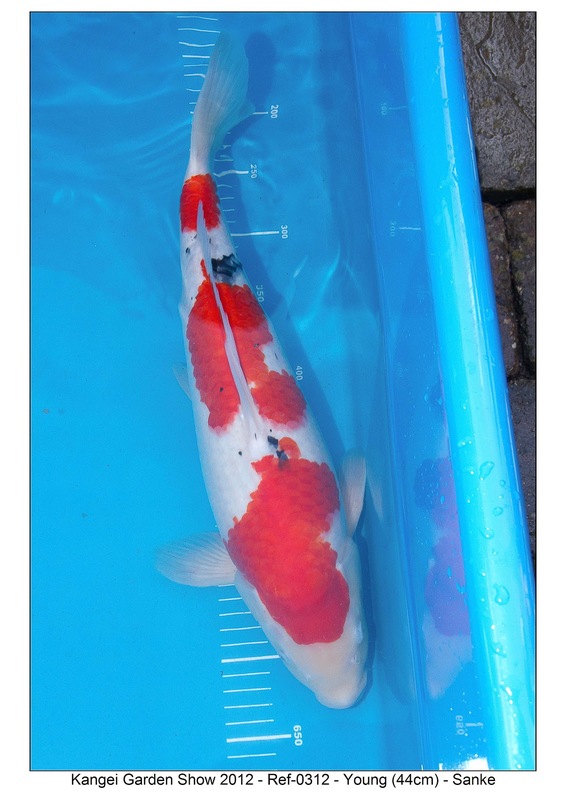 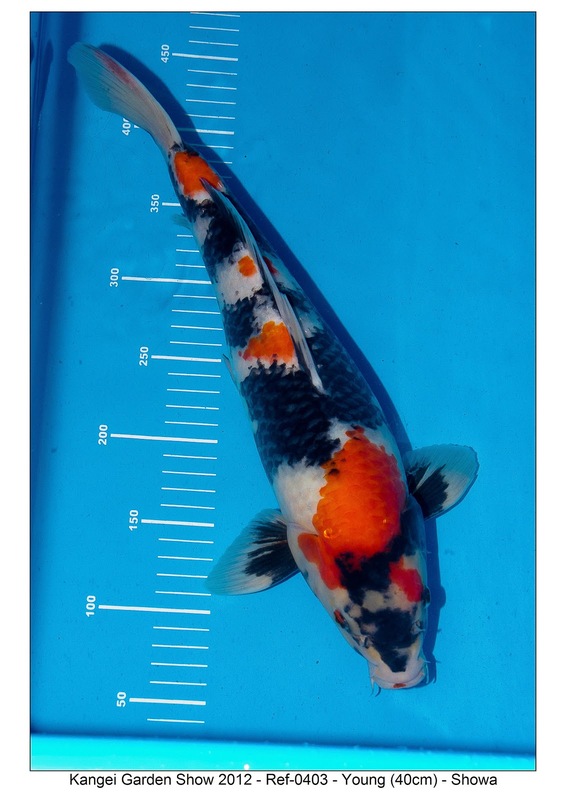 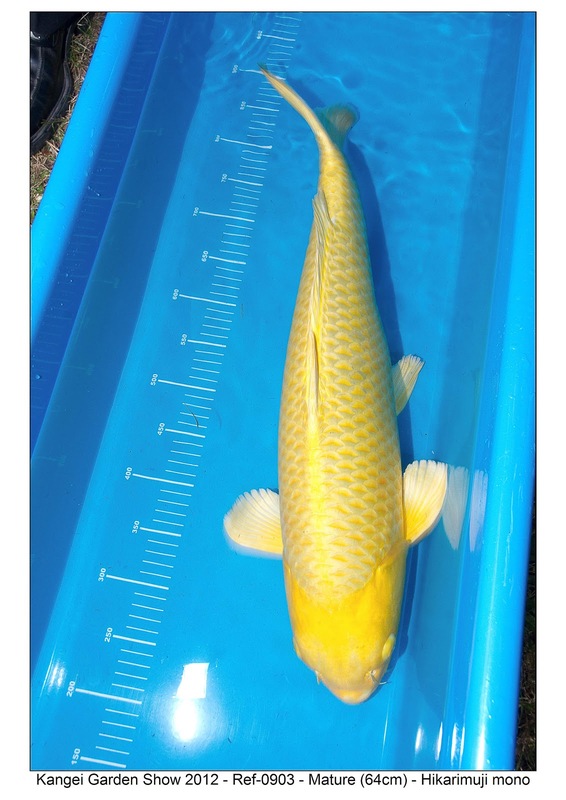 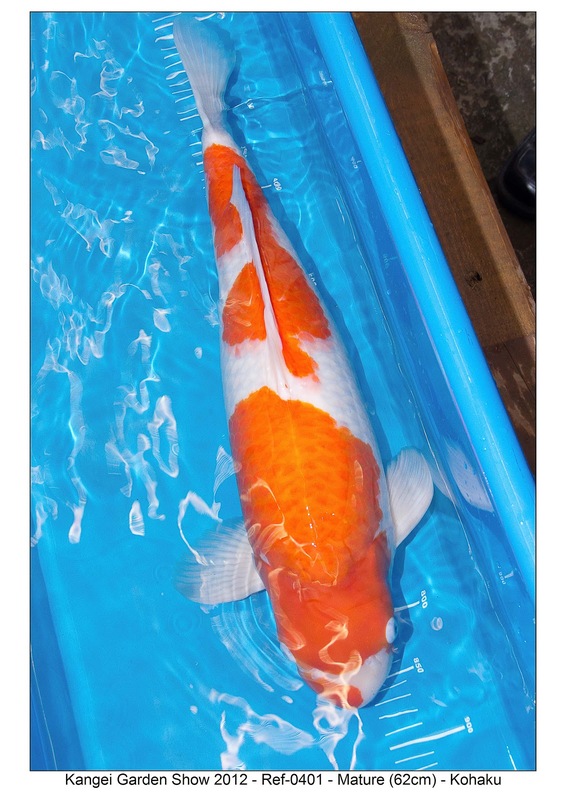 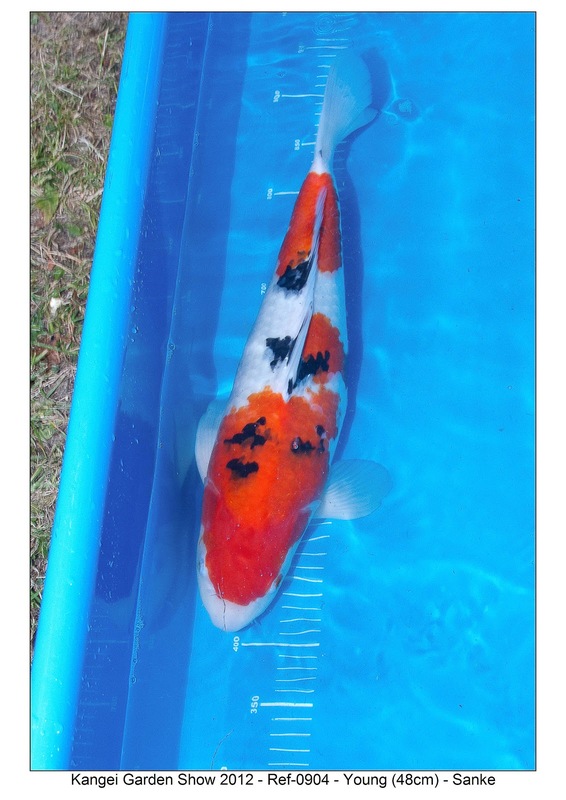 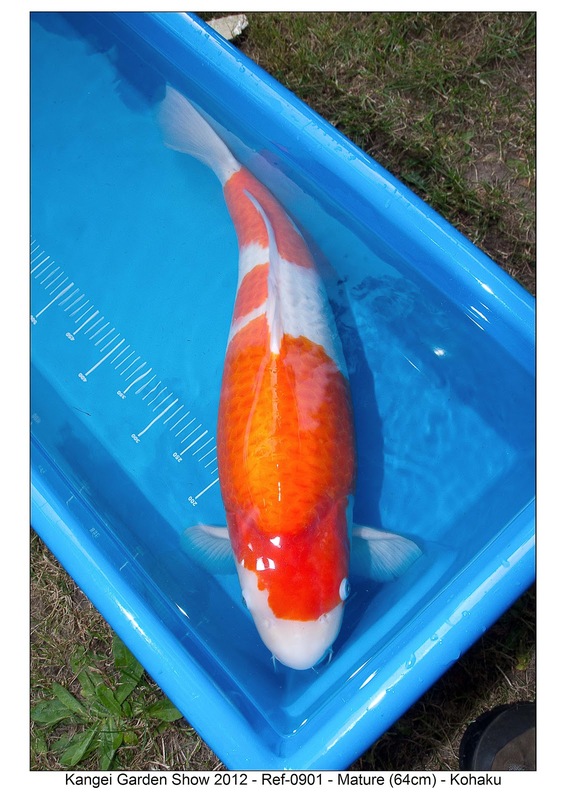 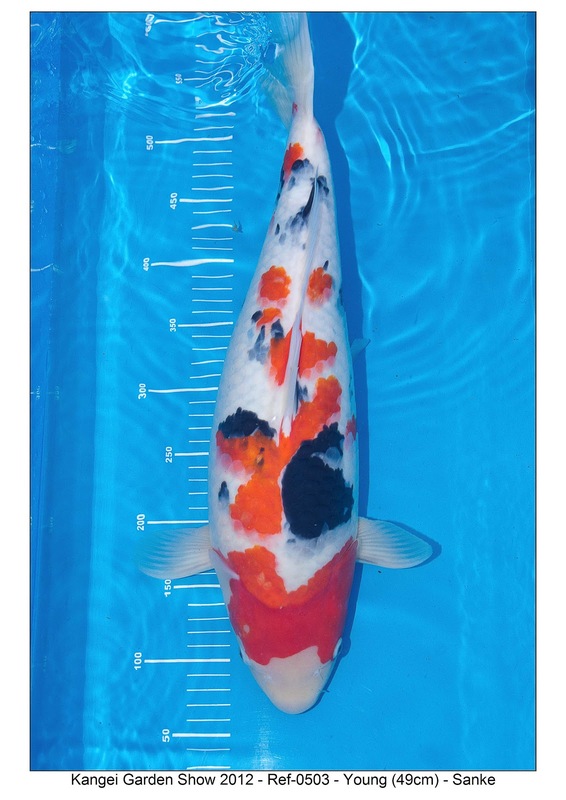 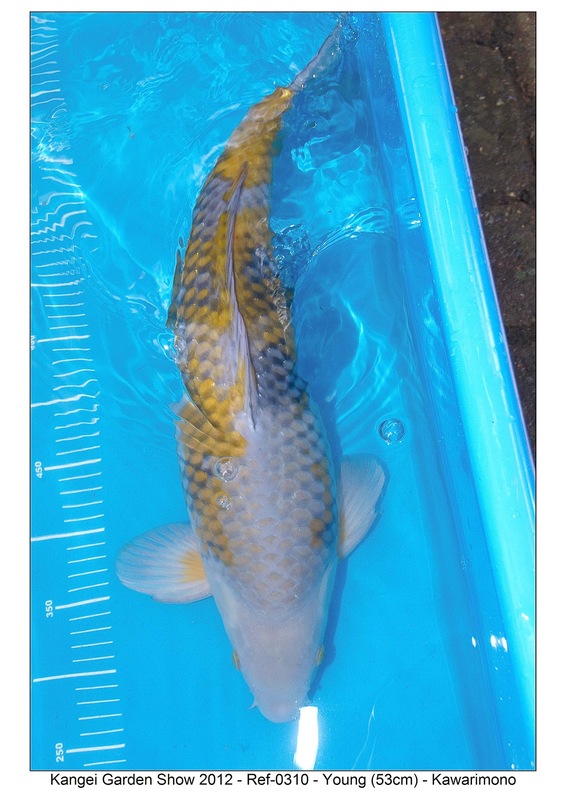 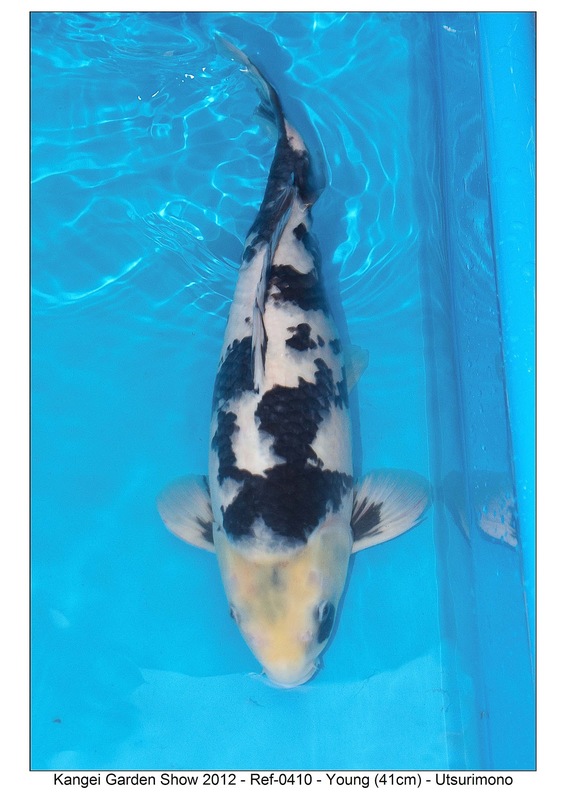 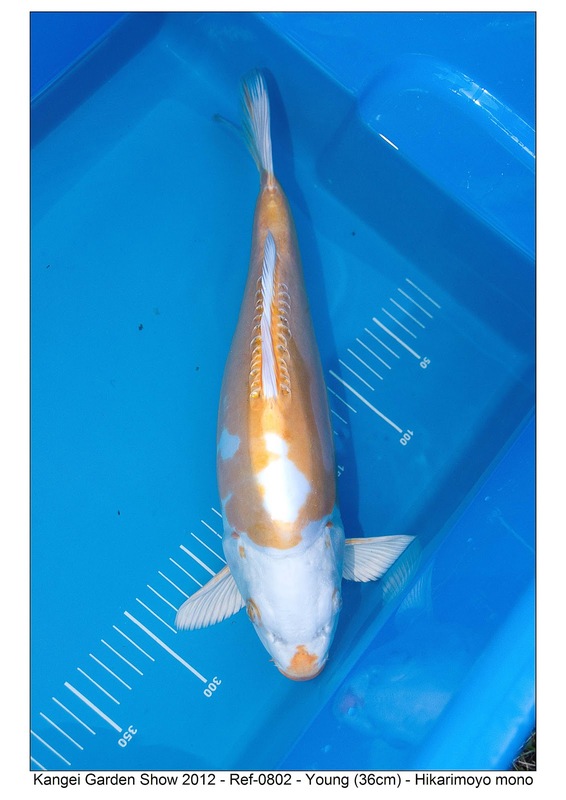 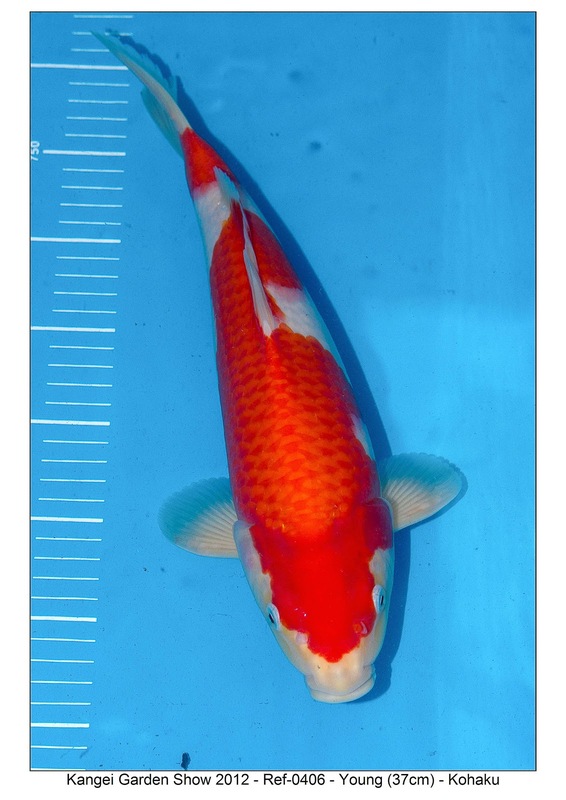 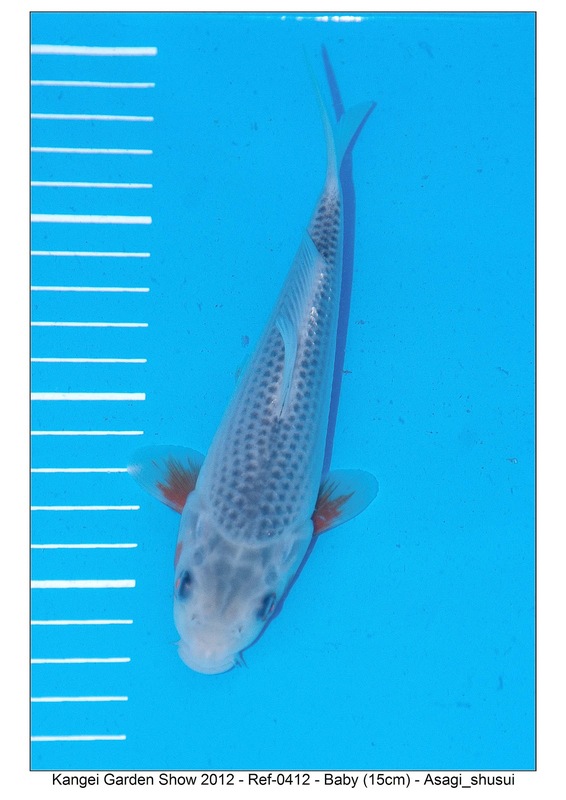 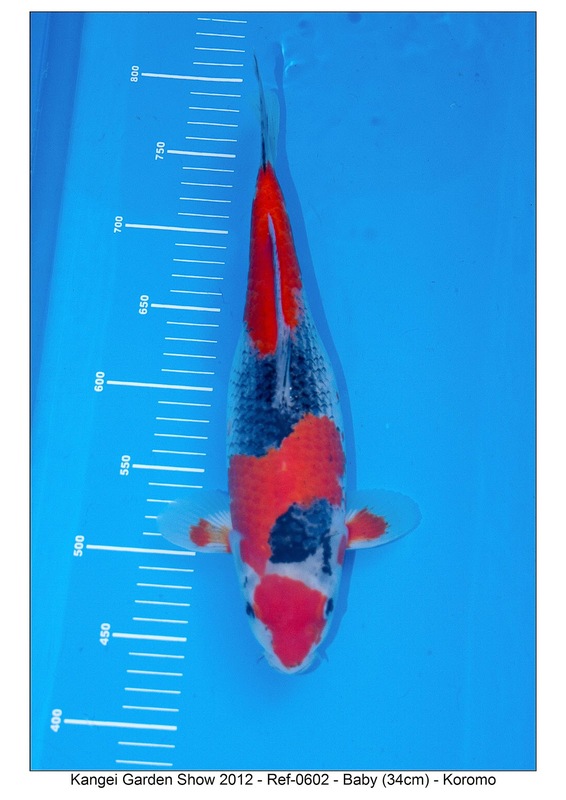 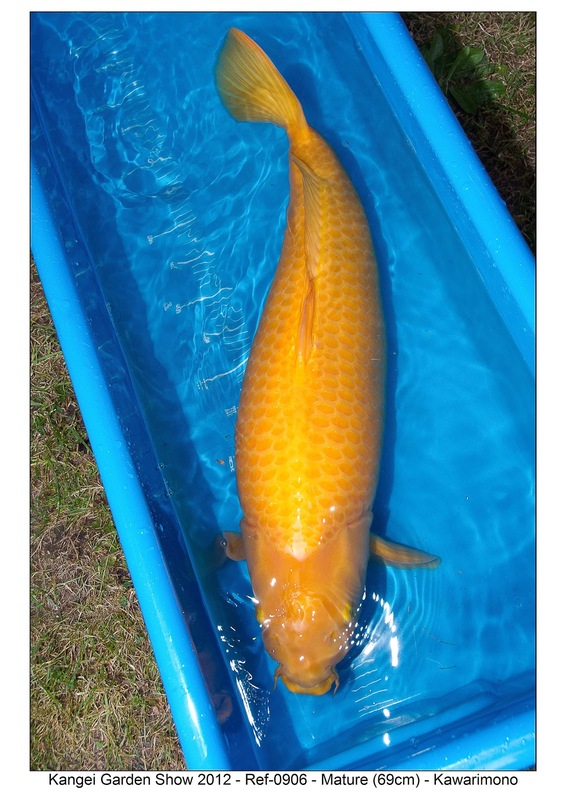 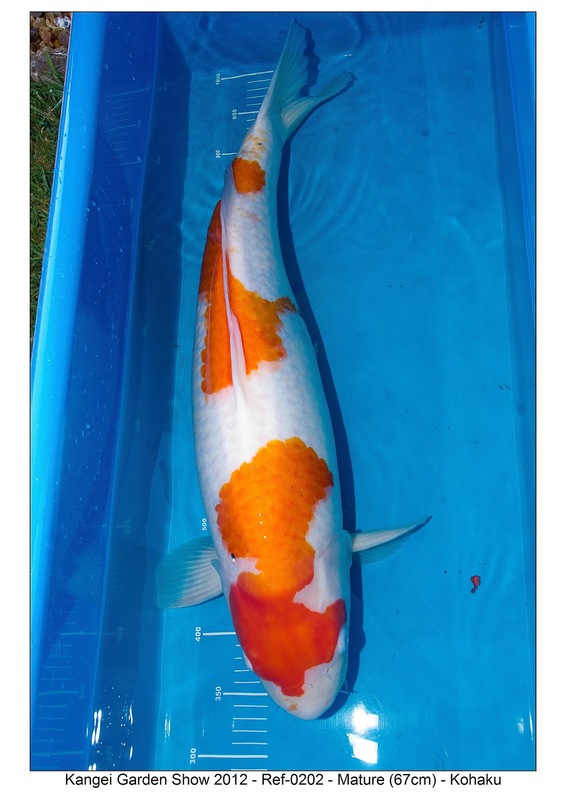 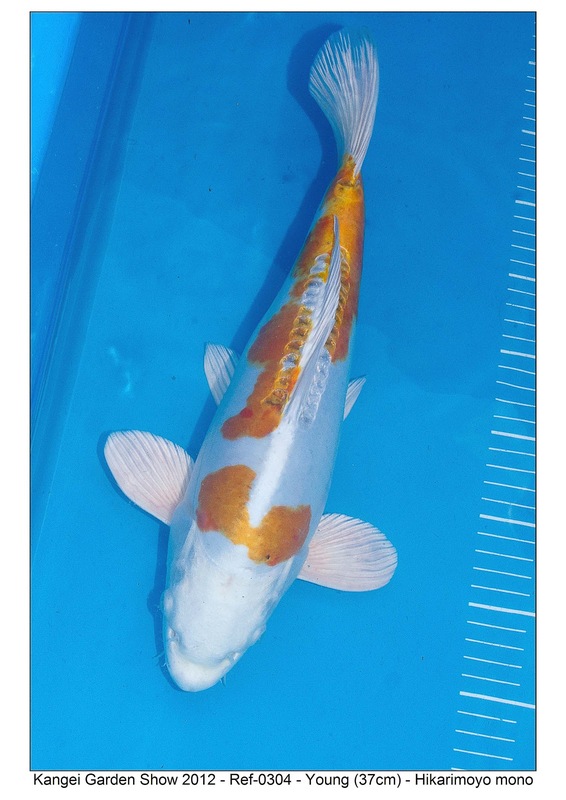 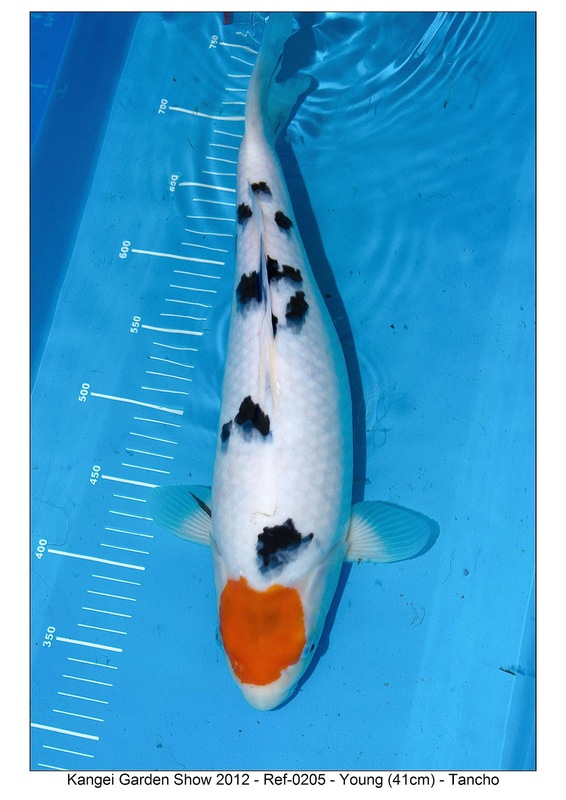 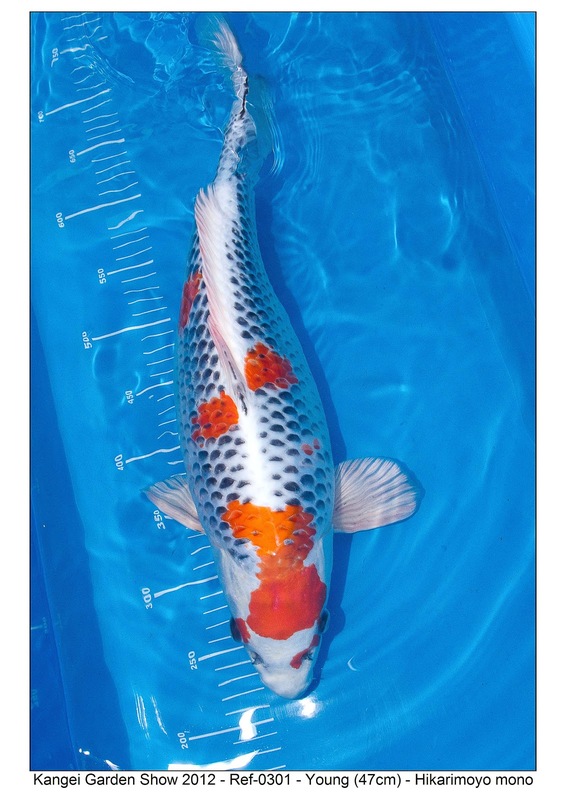 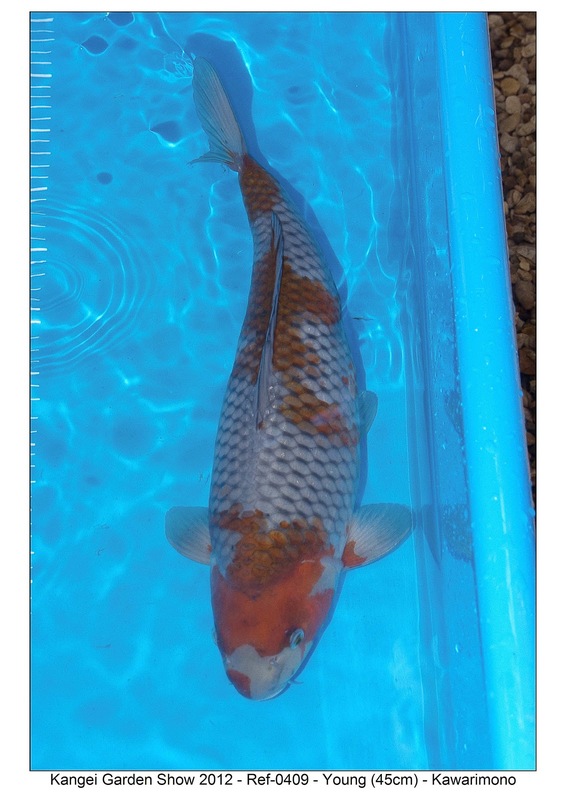 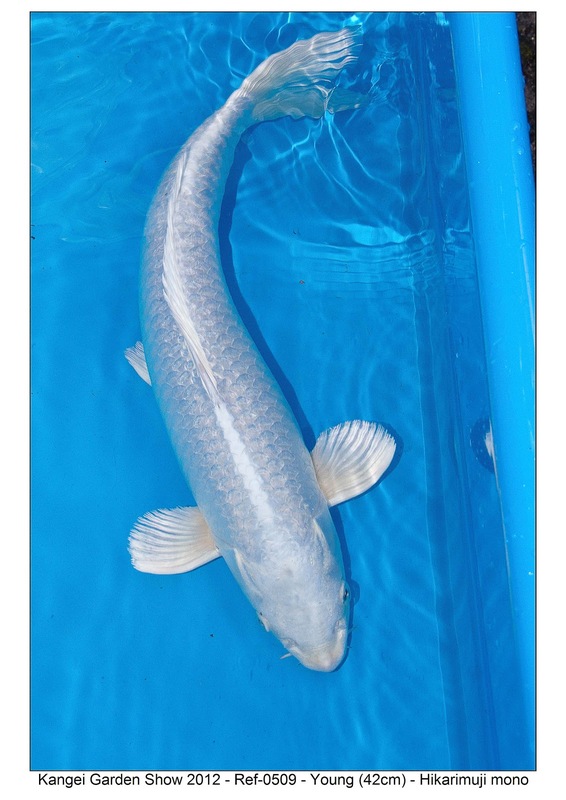 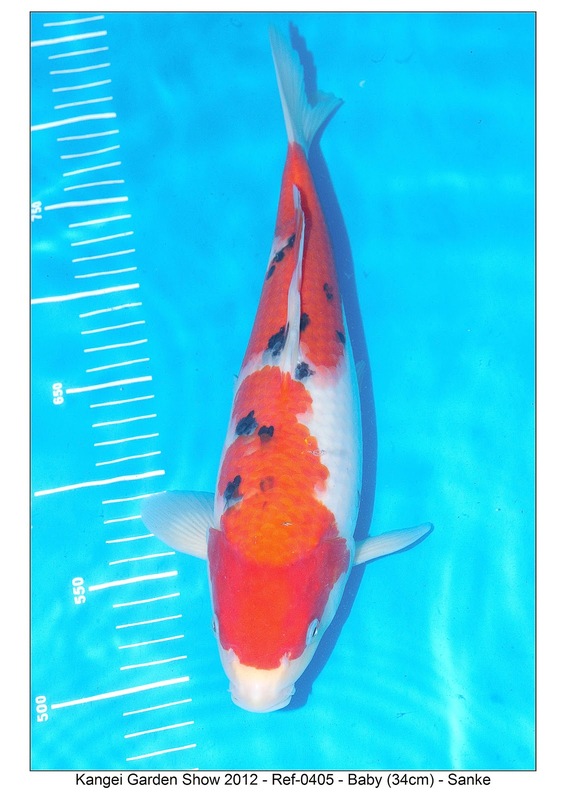 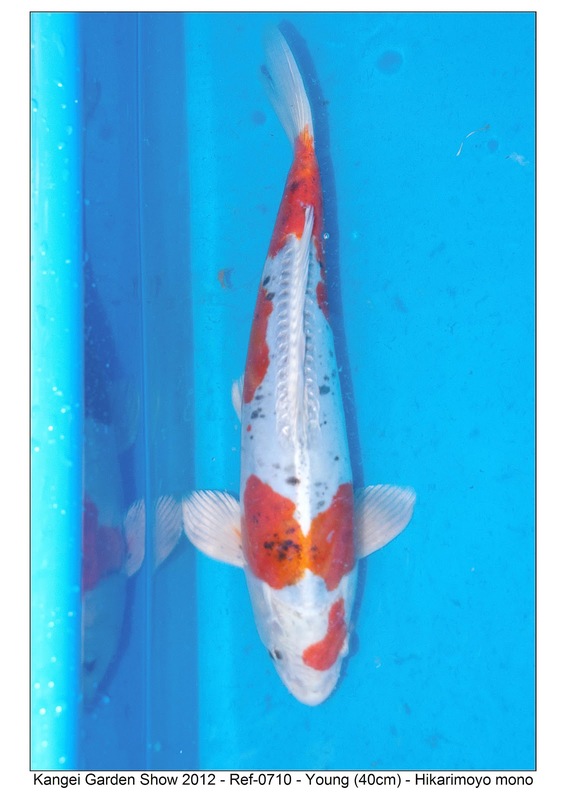 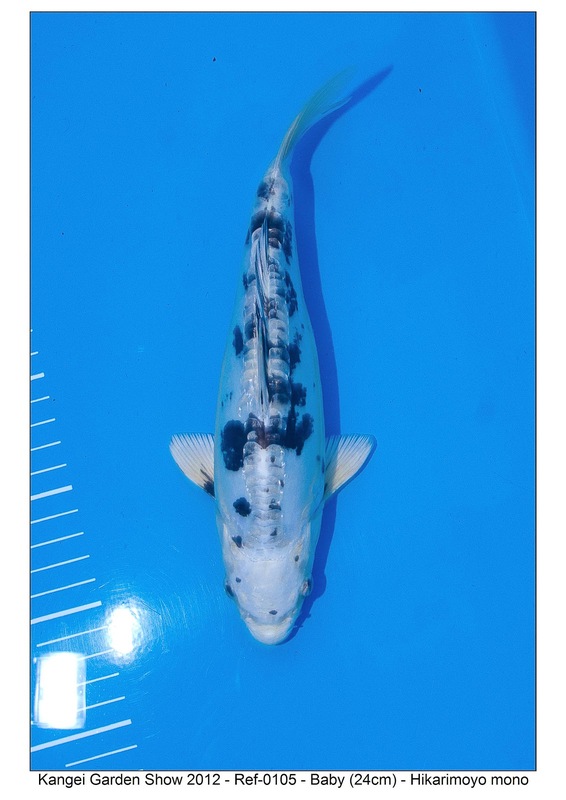 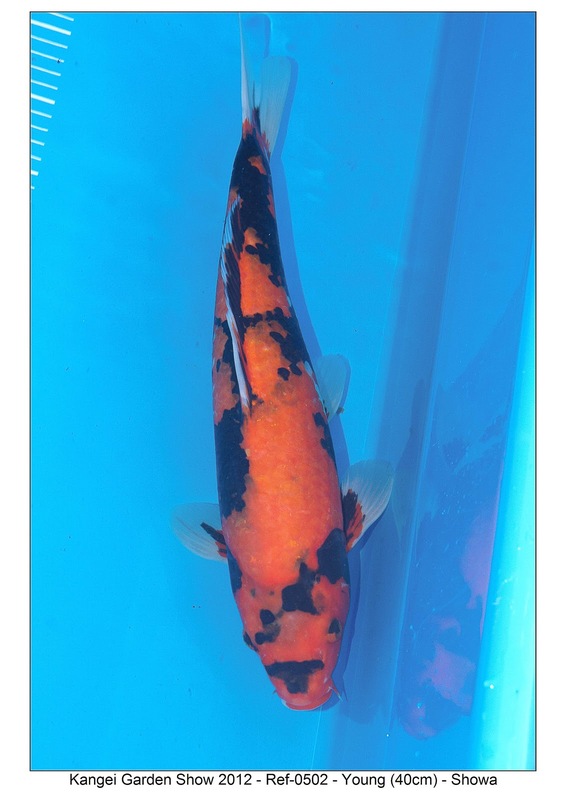 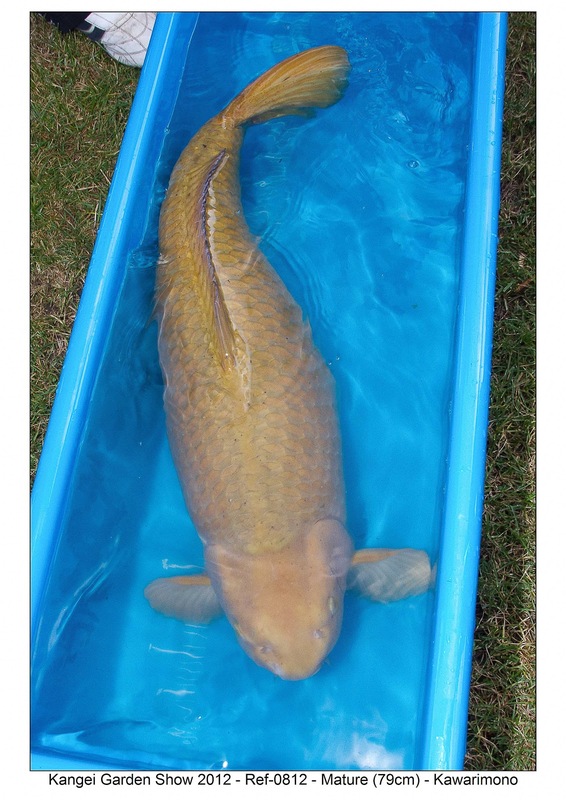 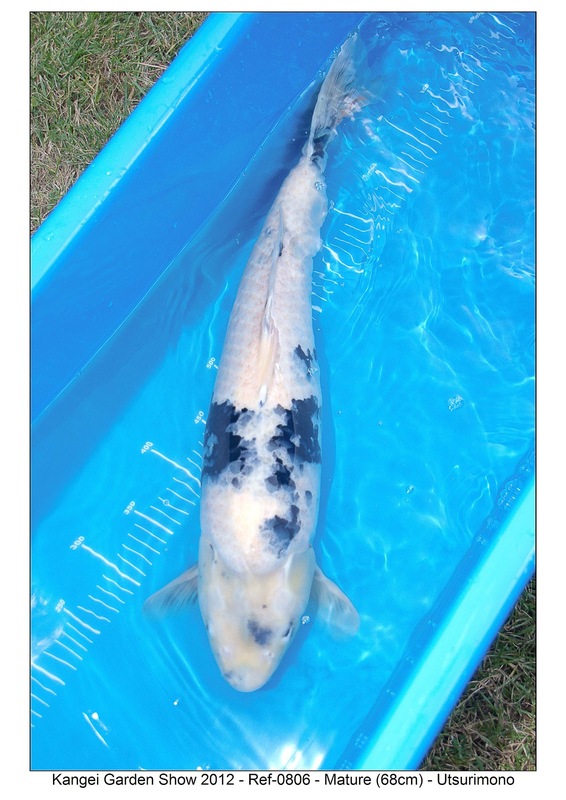 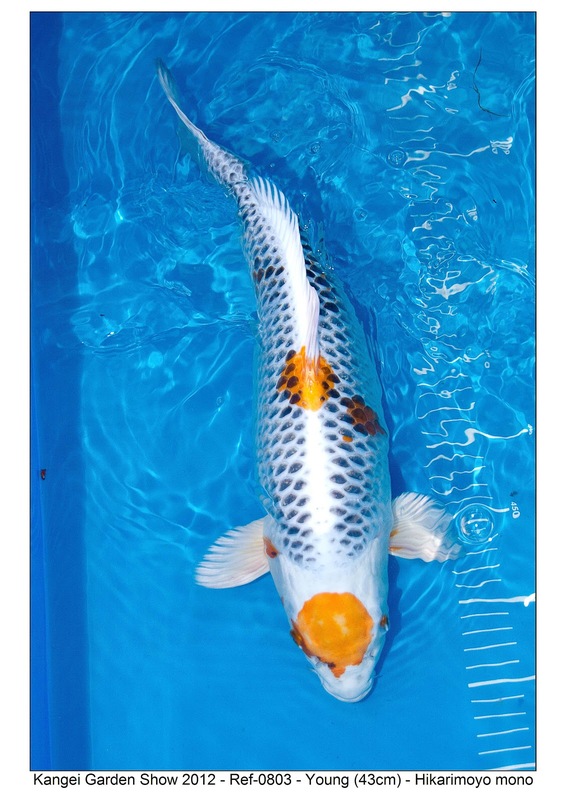 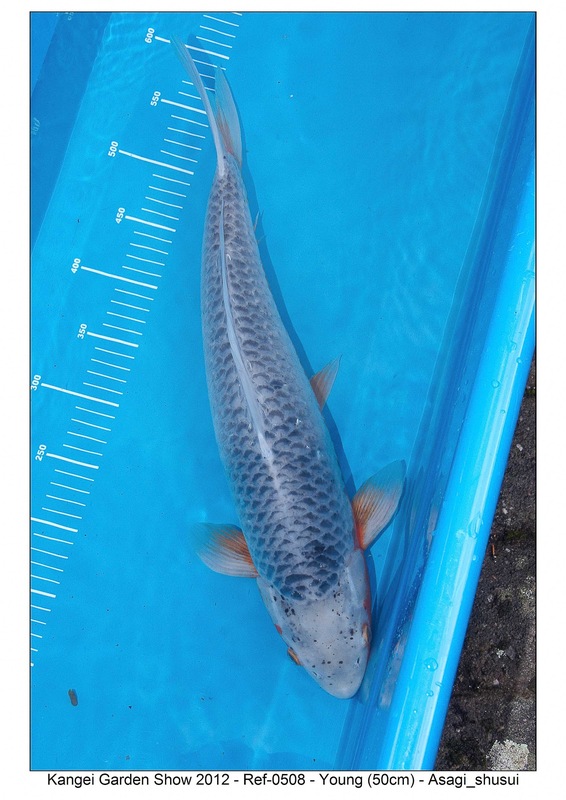 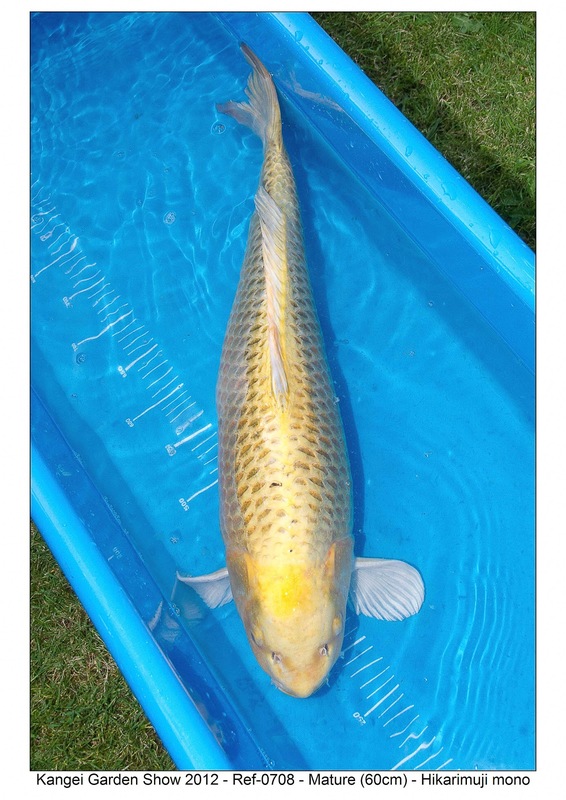 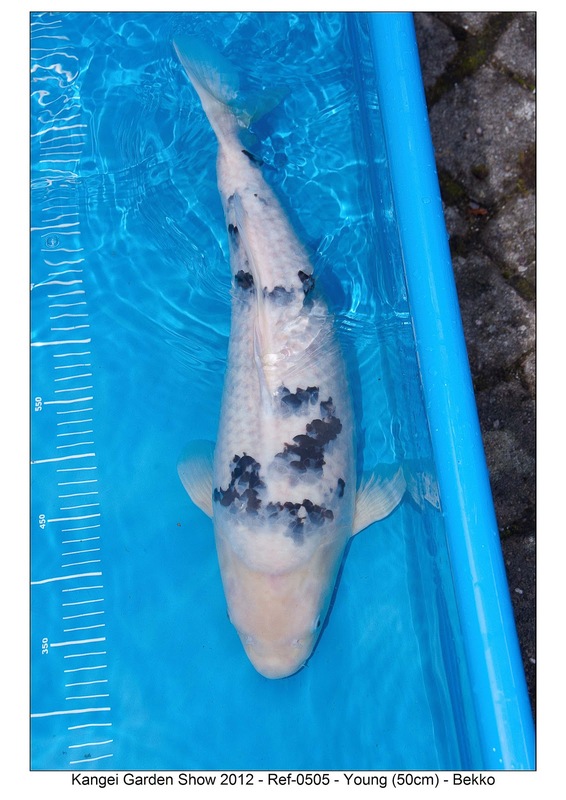 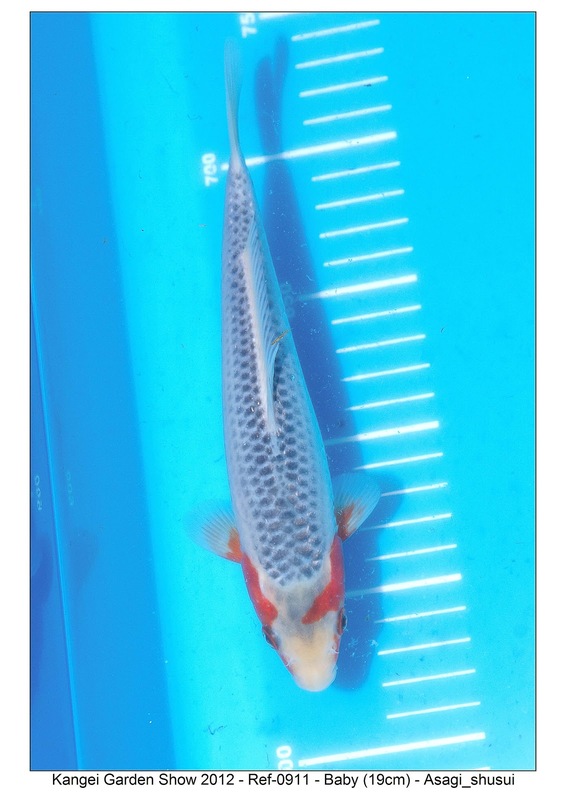 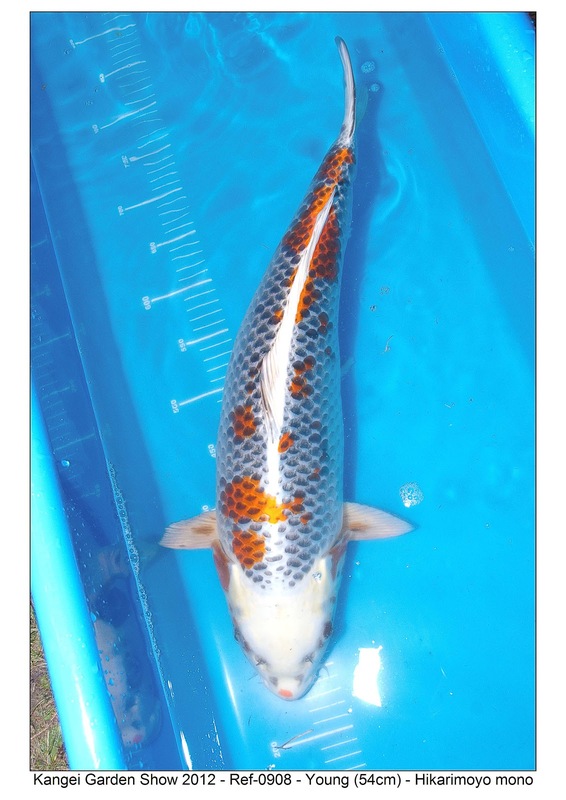 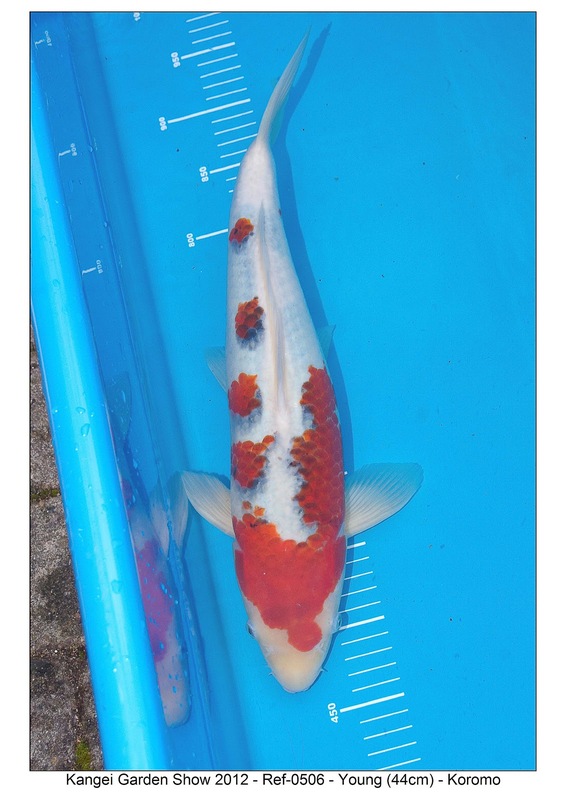 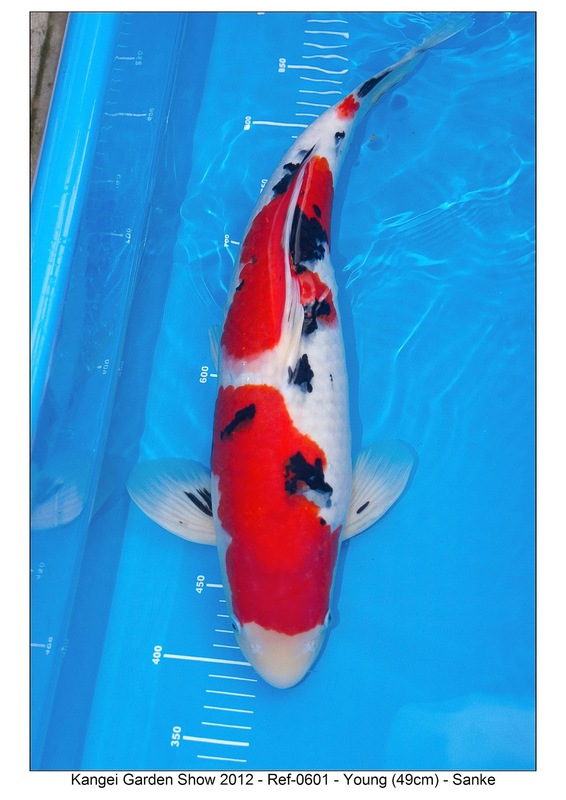 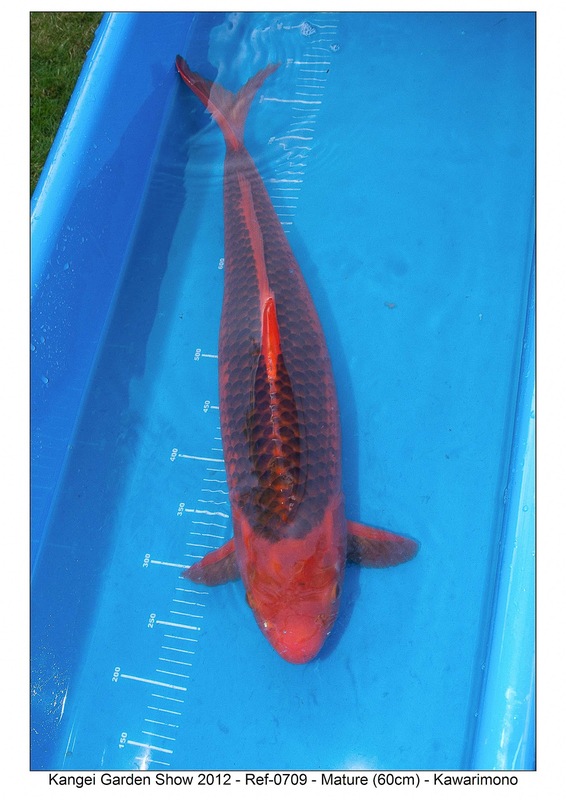 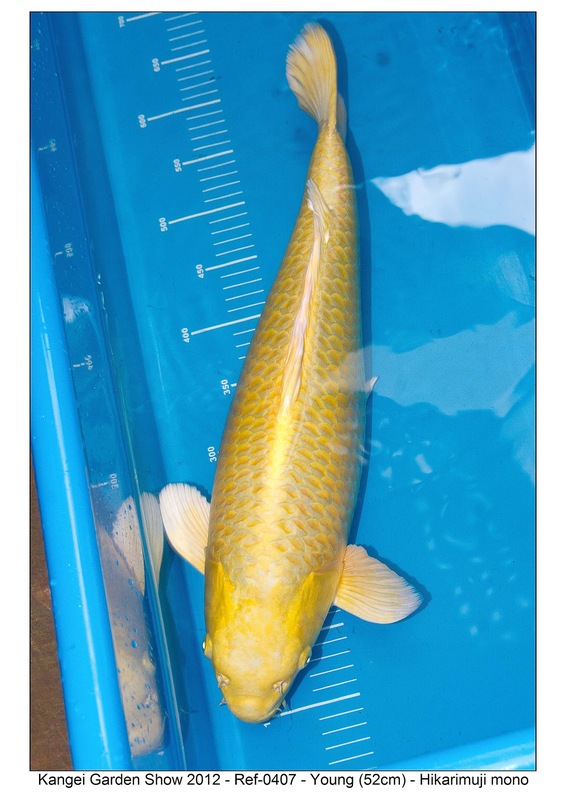 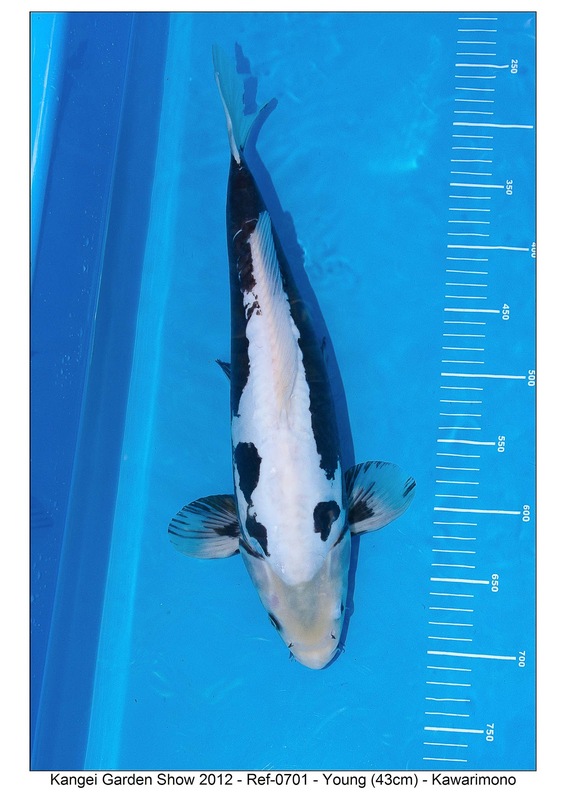 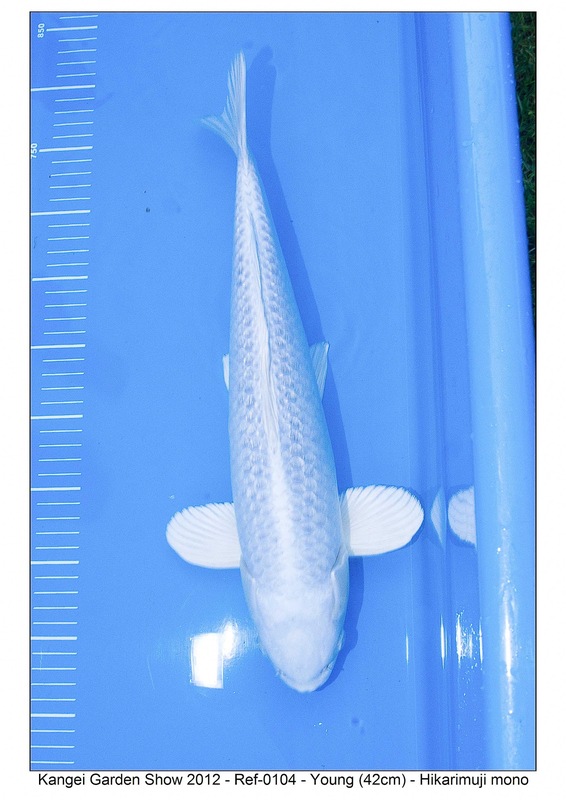 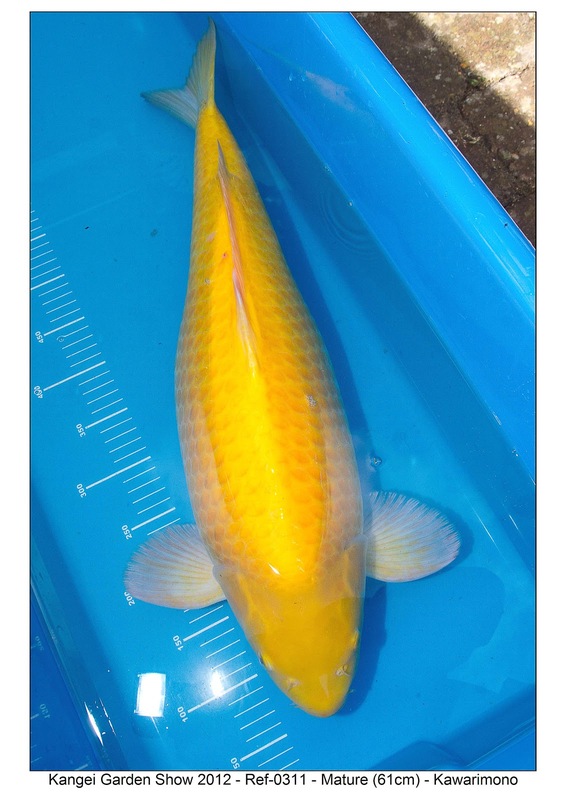 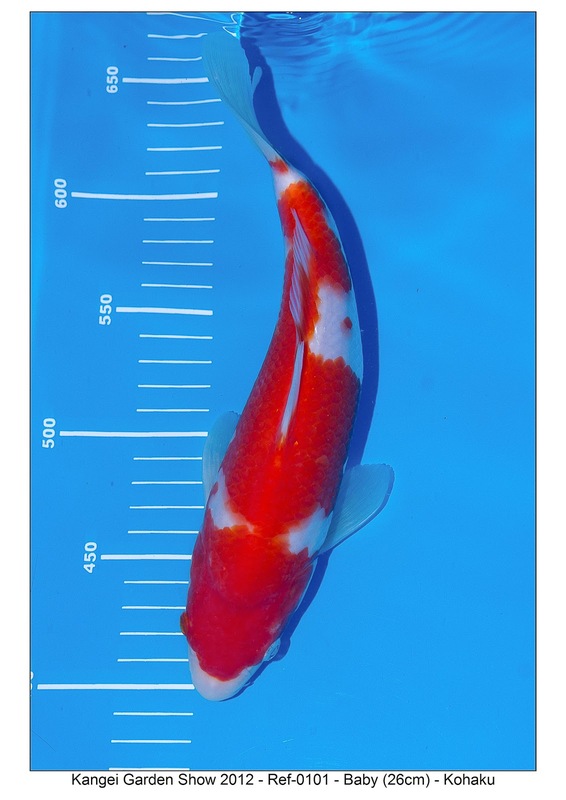 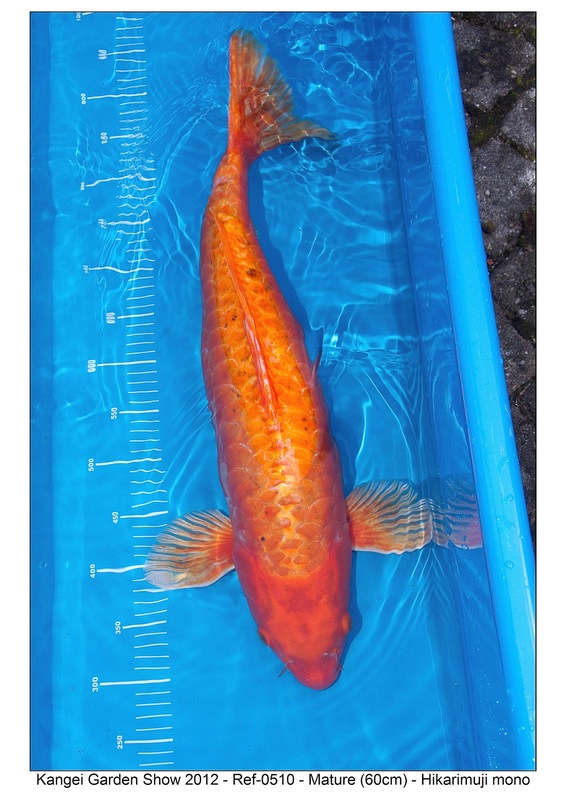 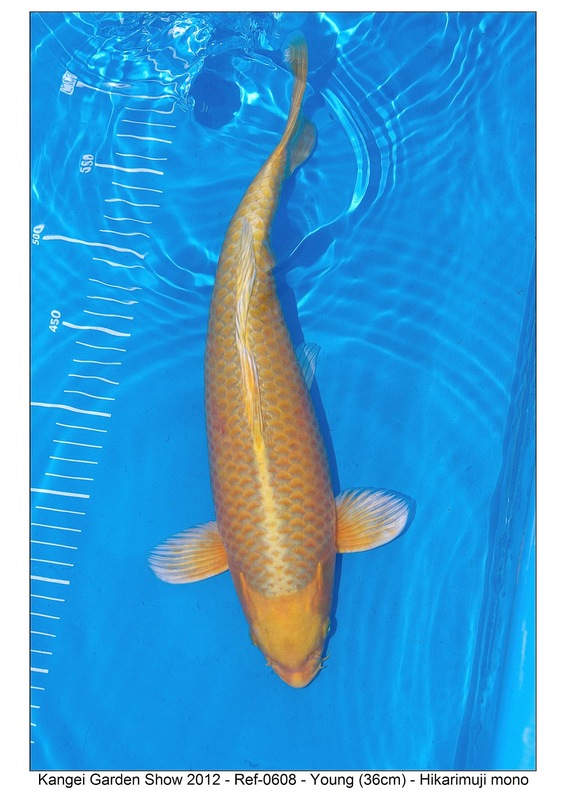 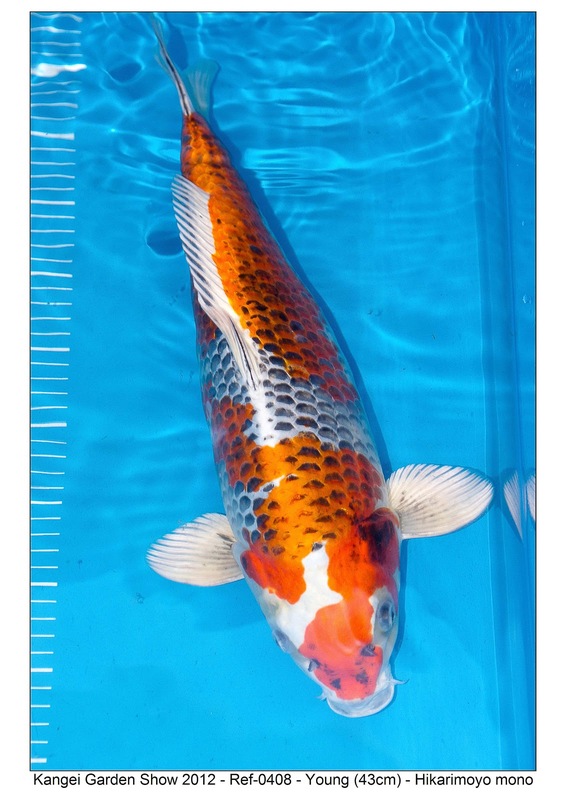 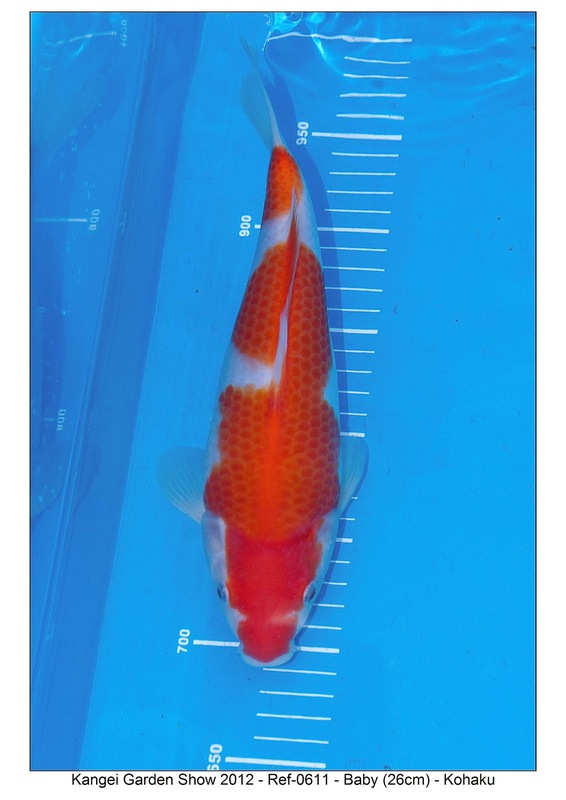 Here are pictures of the koi – each has a unique 4 digit reference shown in the label at the bottom of the picture. 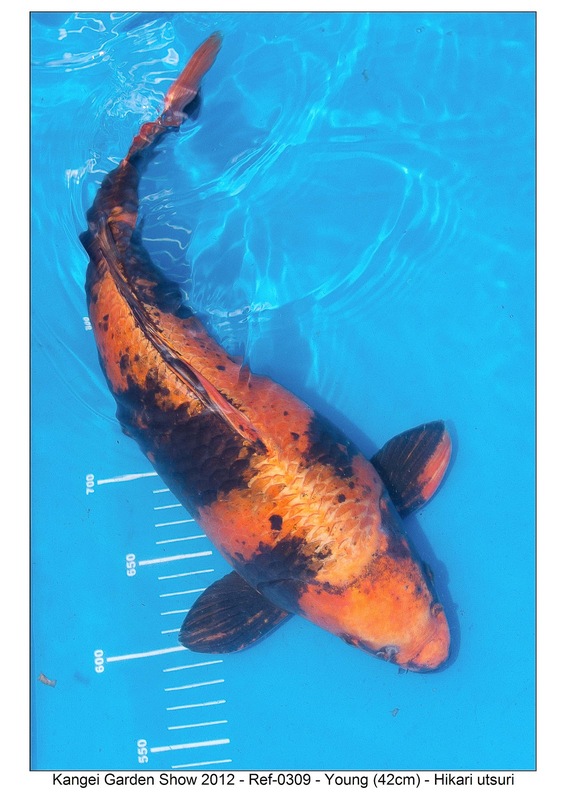 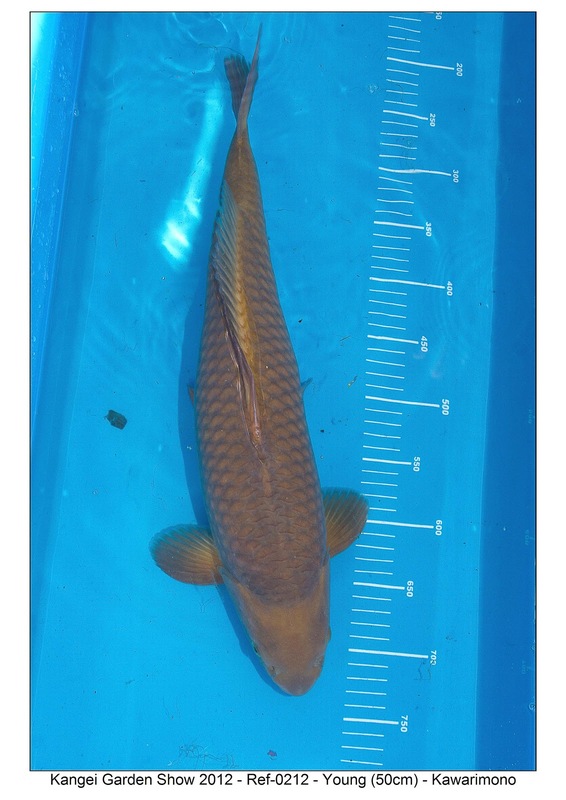 The label also shows which size the koi has been benched into (we’ve given each size a name, “Baby”, “Young”, “Mature”). 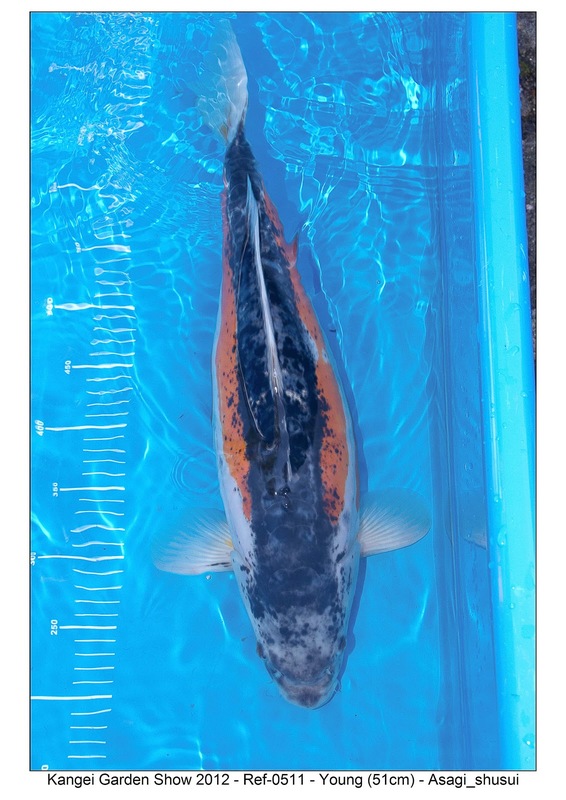 I’ve included a copy of the quiz sheet that Kangei member’s had a go at filling in at the bottom of this post. 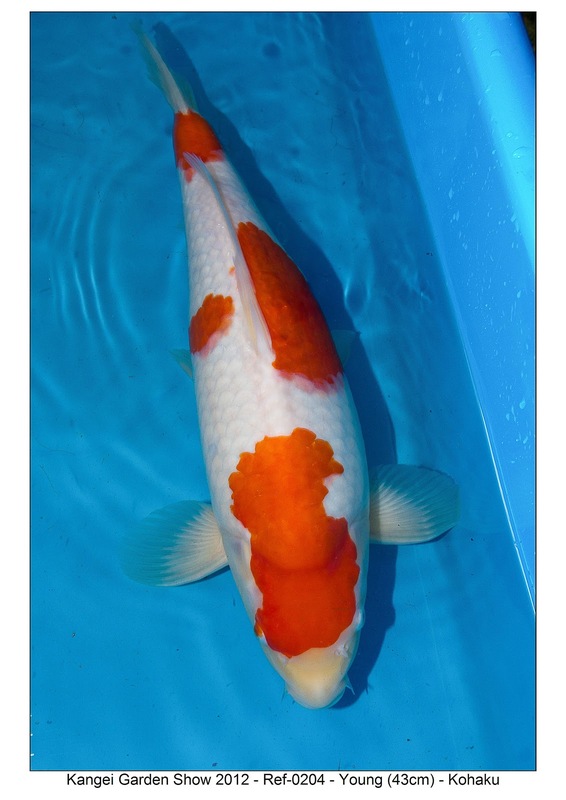 No guidance on this one – it’s a free choice! 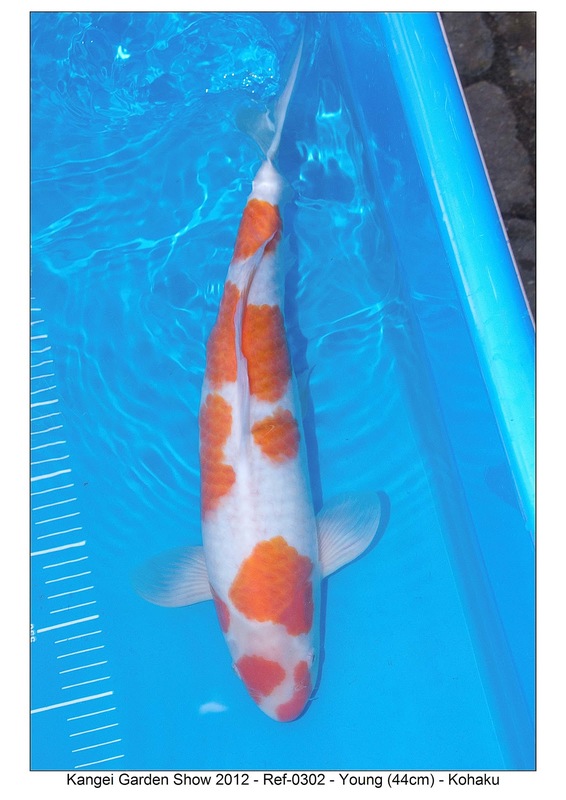 The most popular koi from members’ responses will win the “Members’ favourite” award. 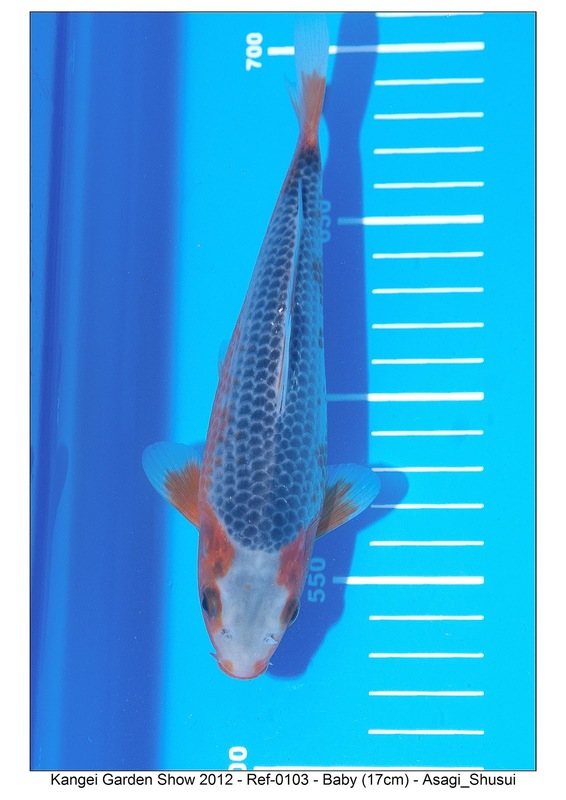 Thanks for your suggestion; the results were announced at out meeting on Wednesday this week and keep an eye on this site over the next few days as we release the results.